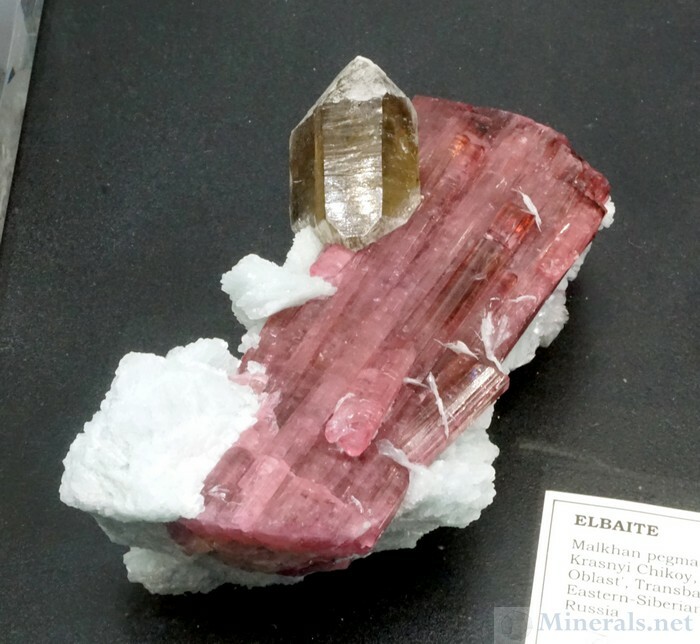 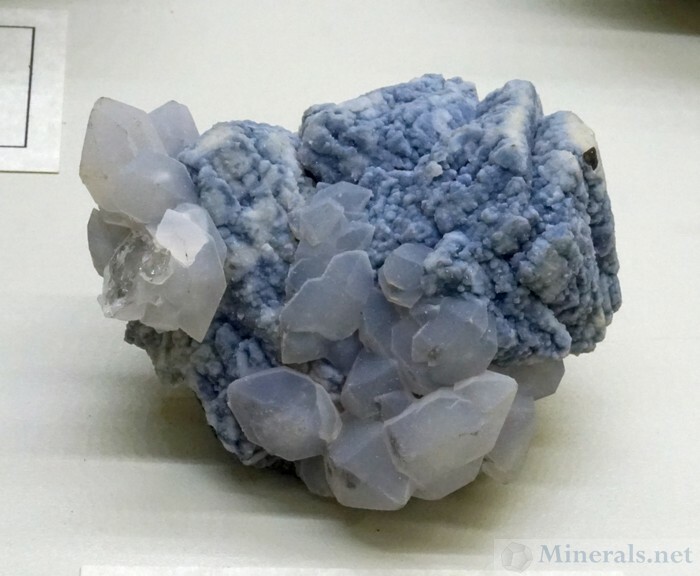 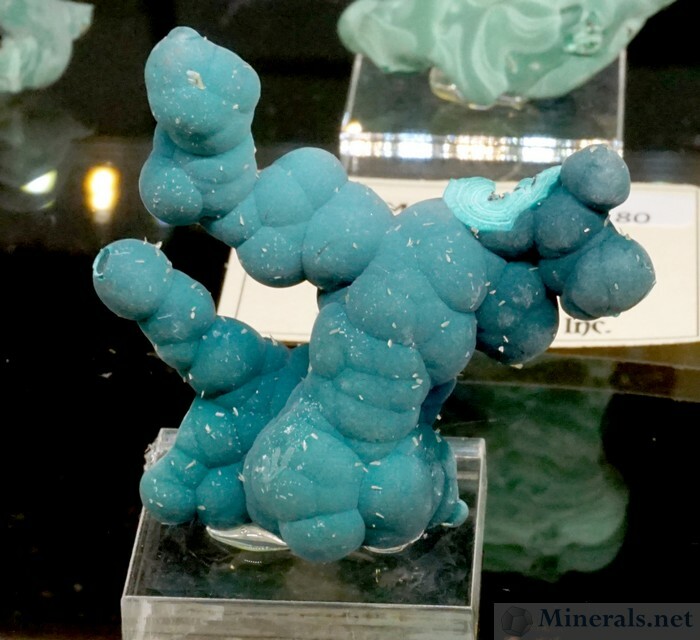 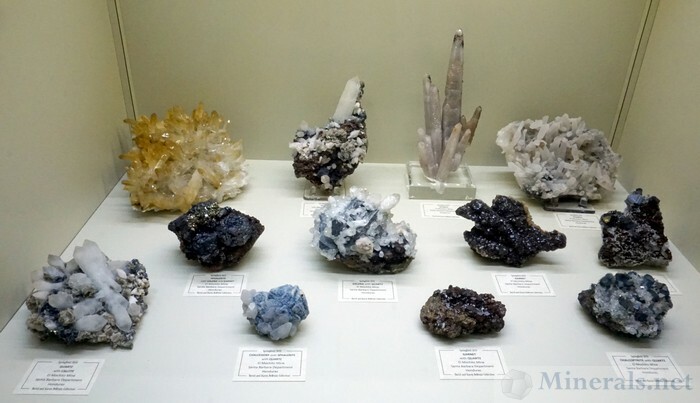 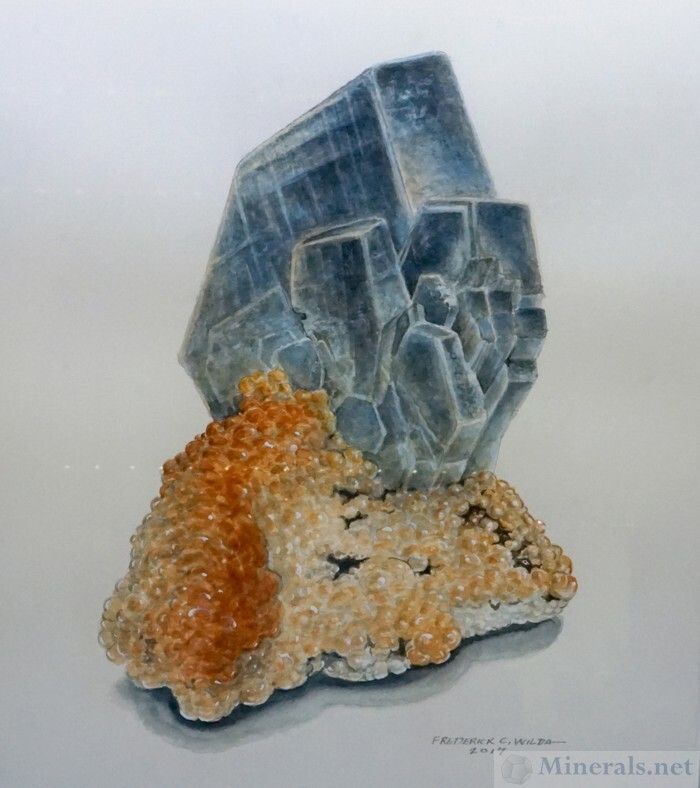 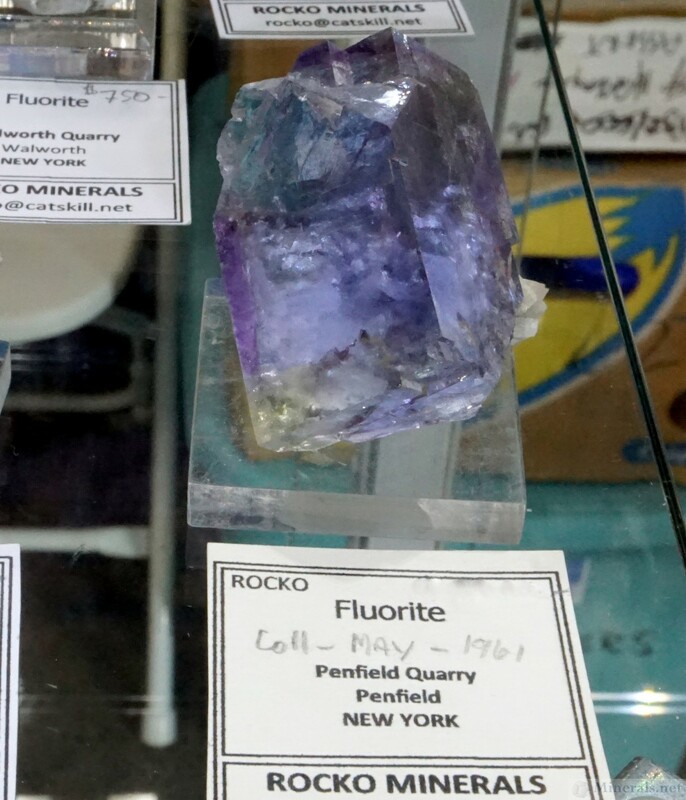 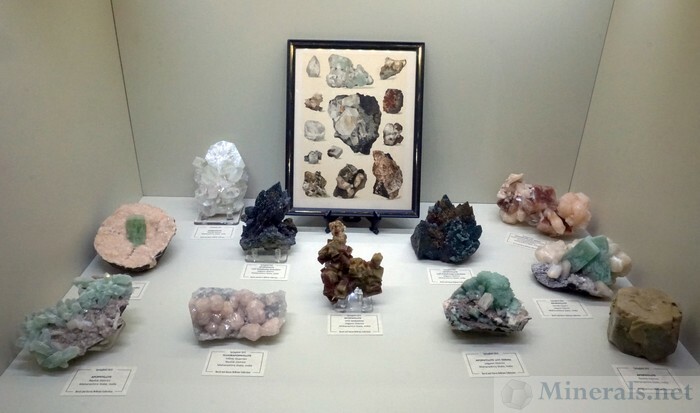 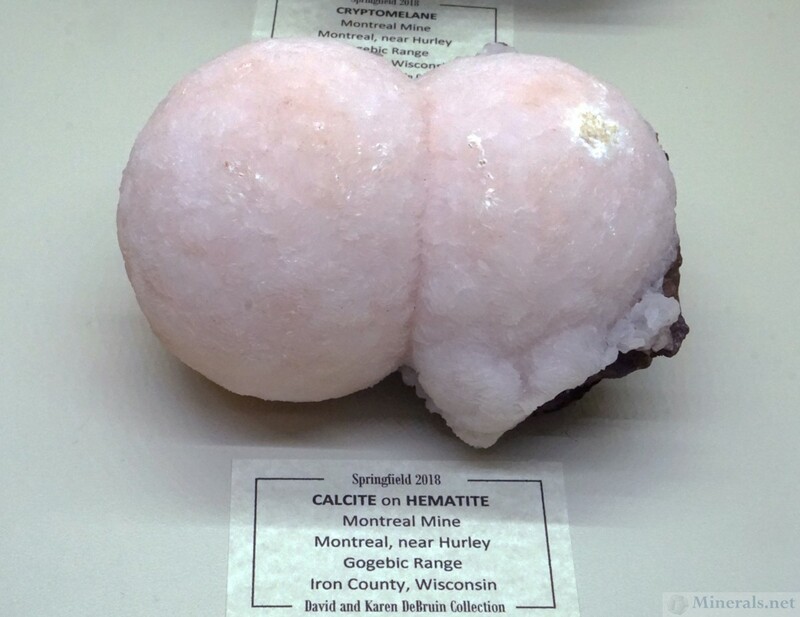 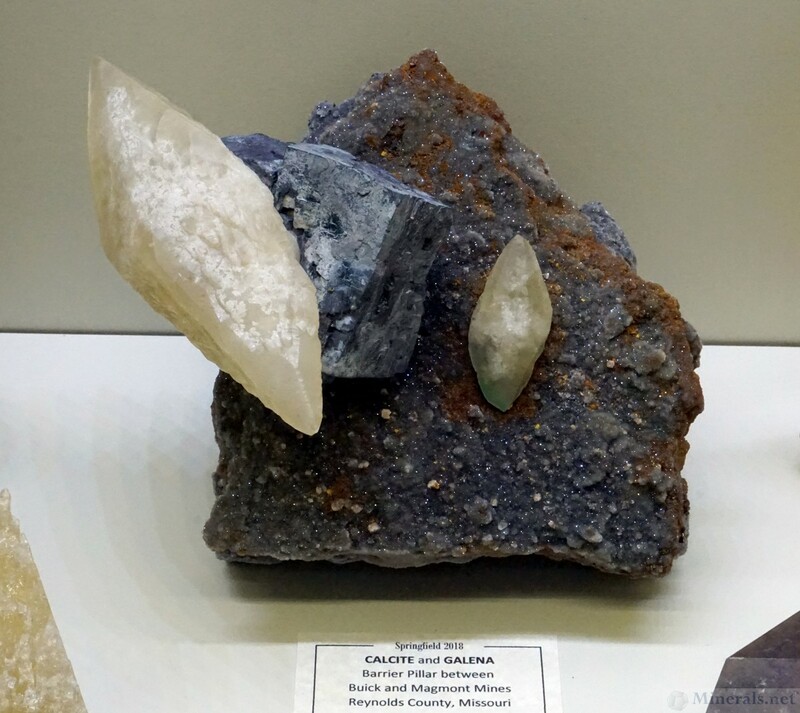 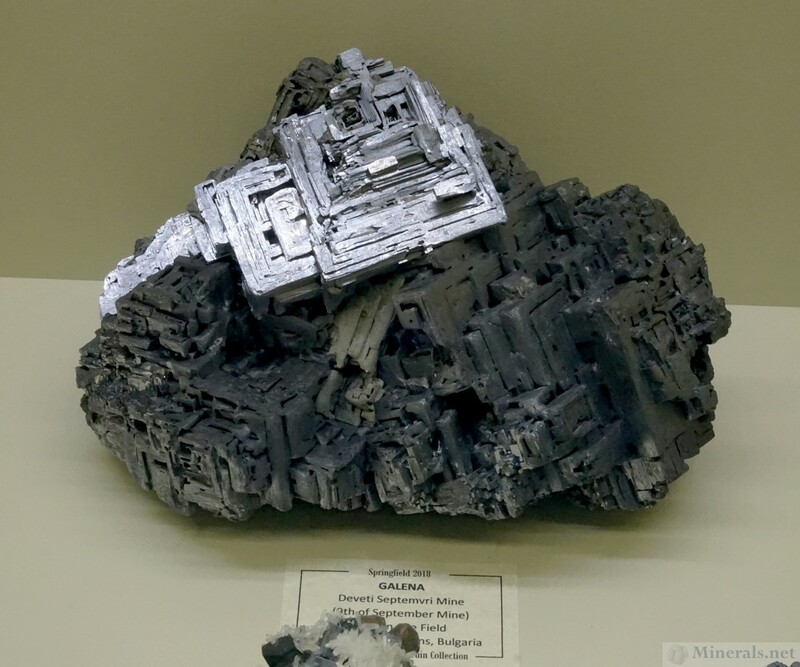 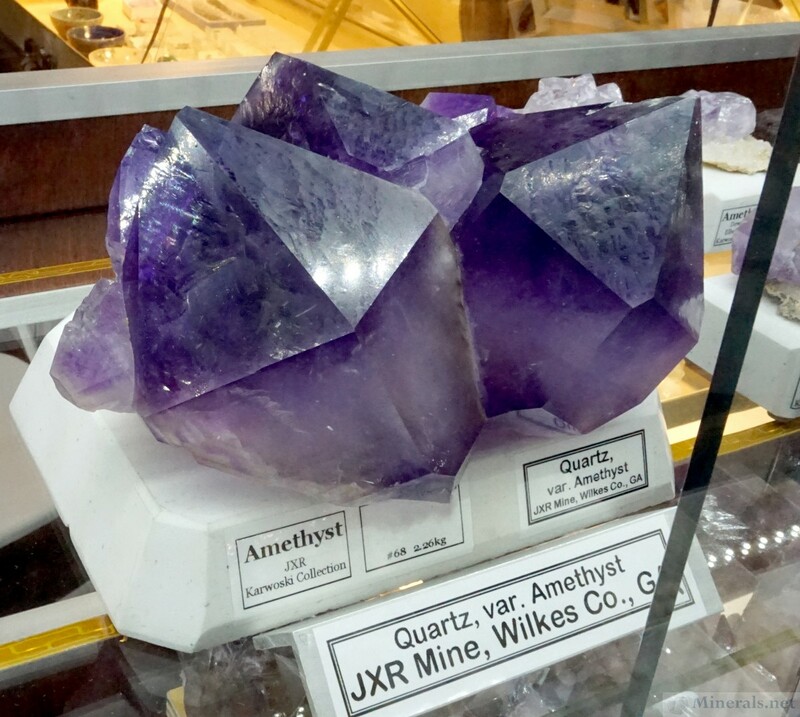 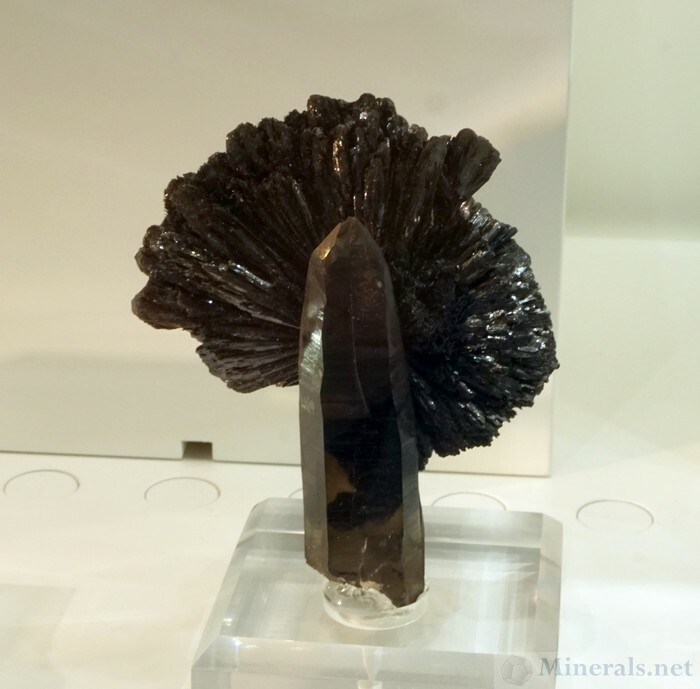 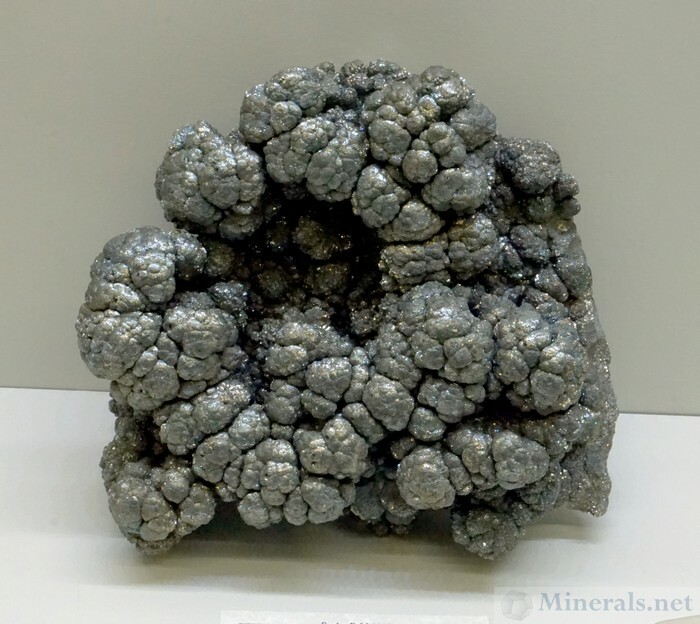 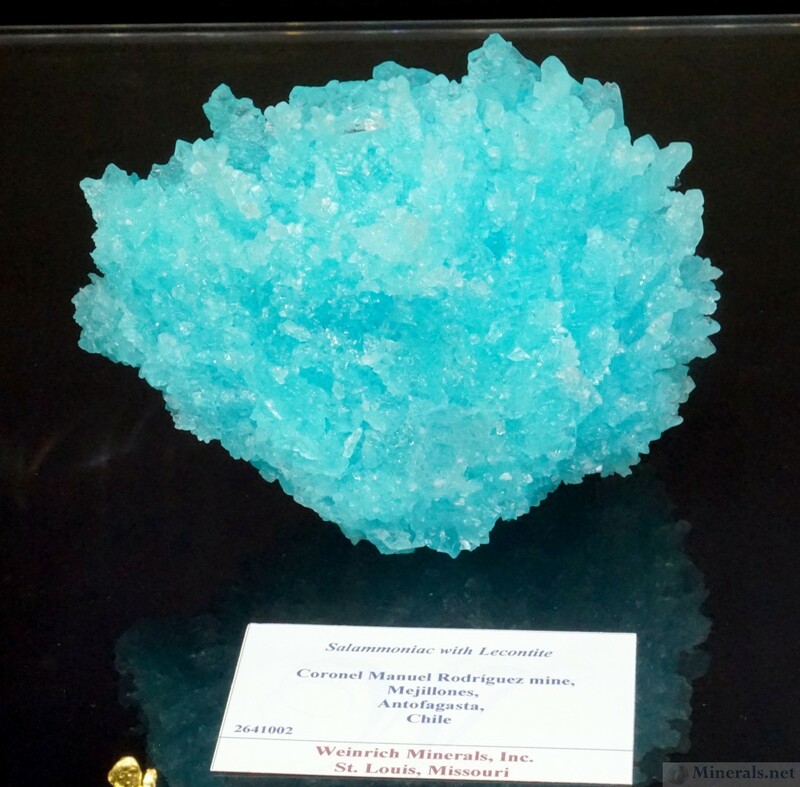 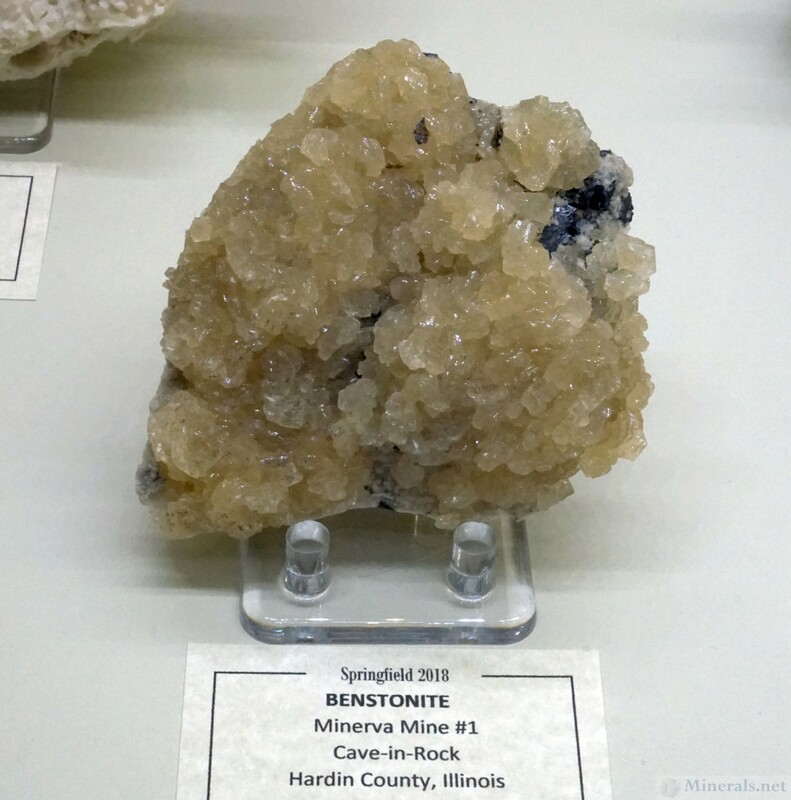 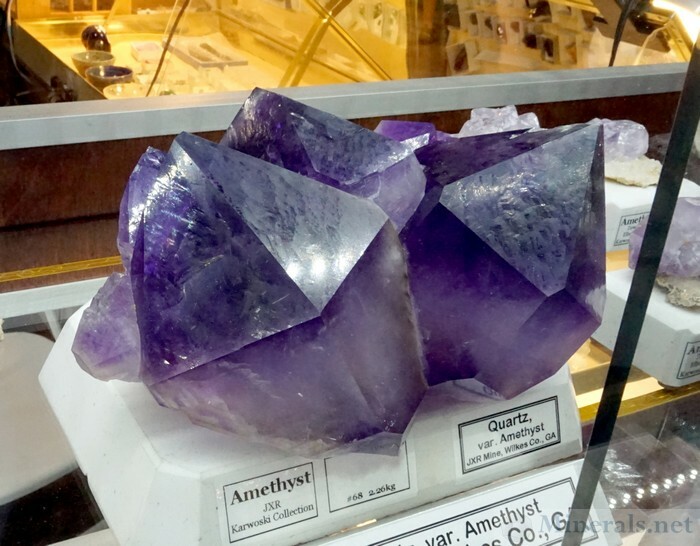 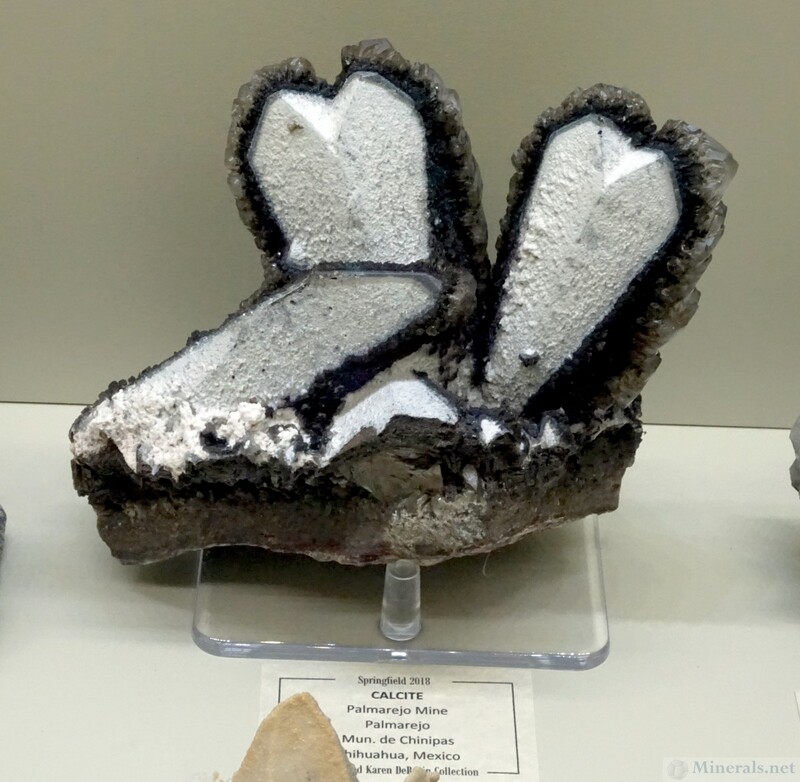 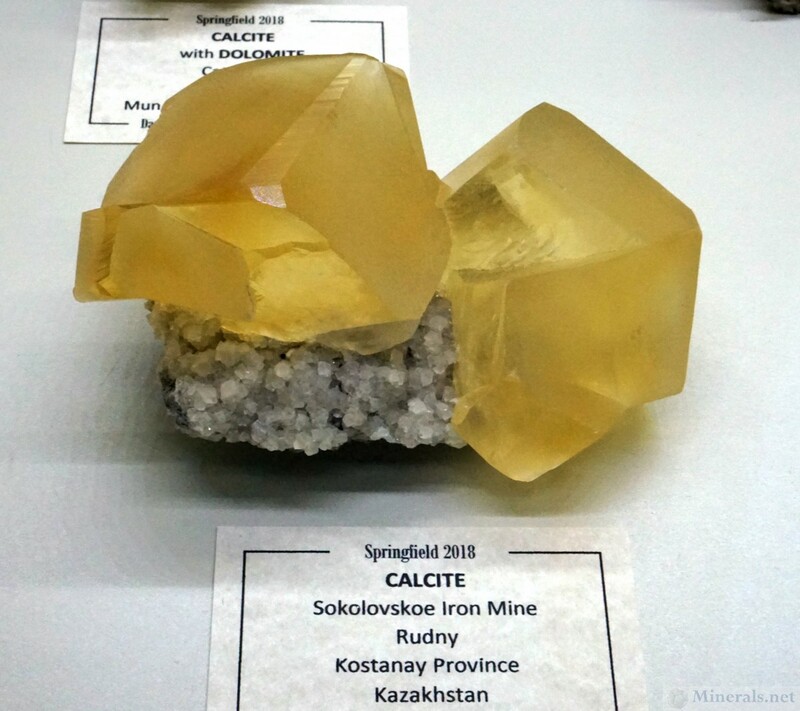 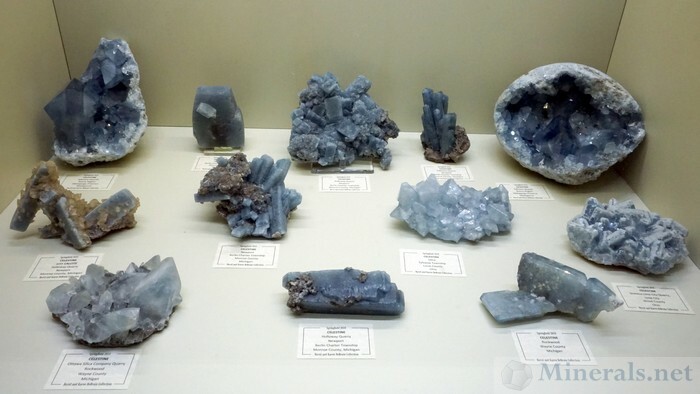 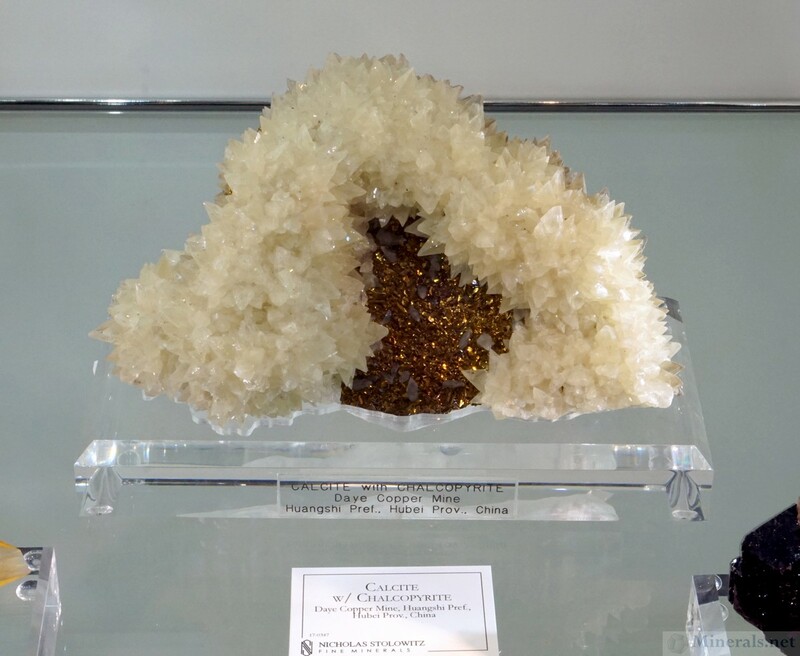 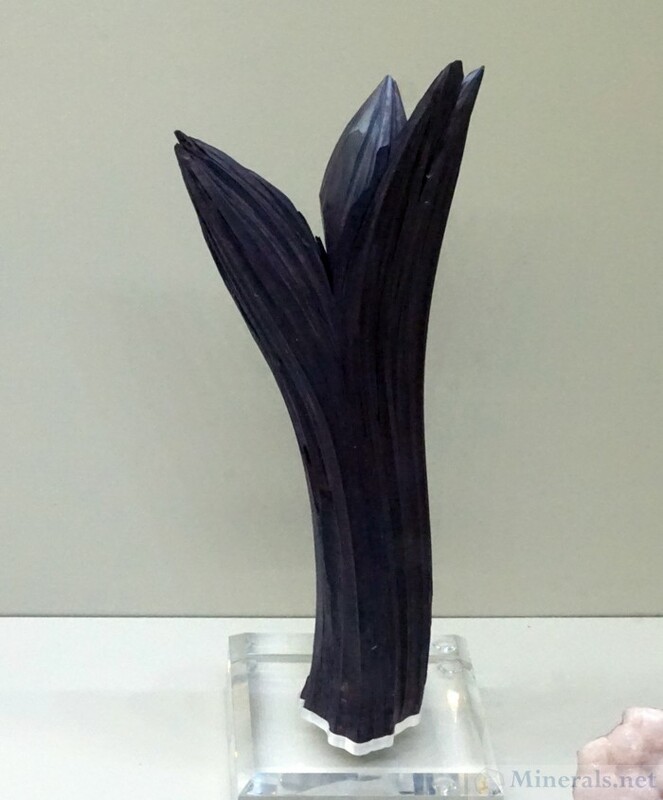 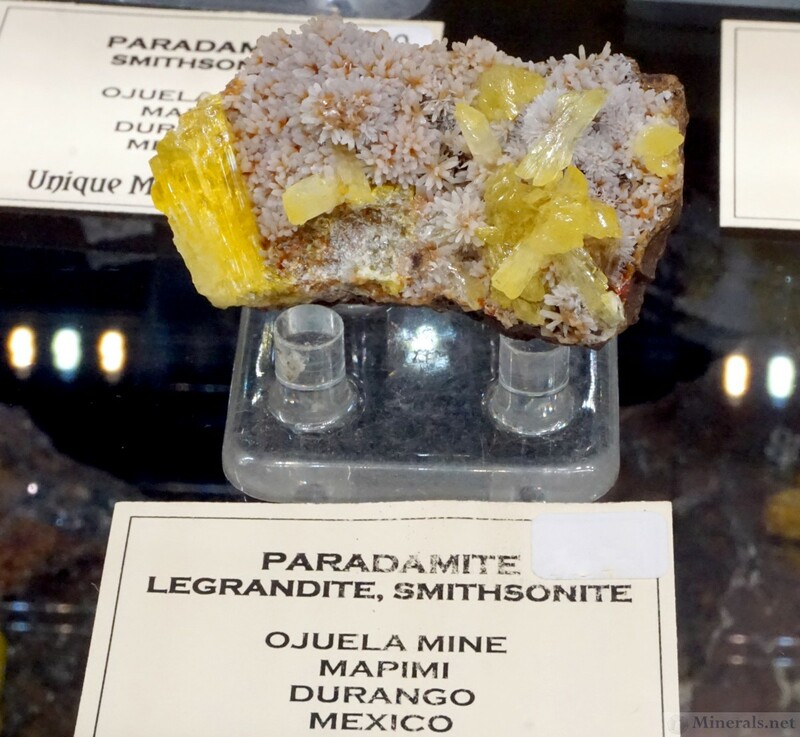 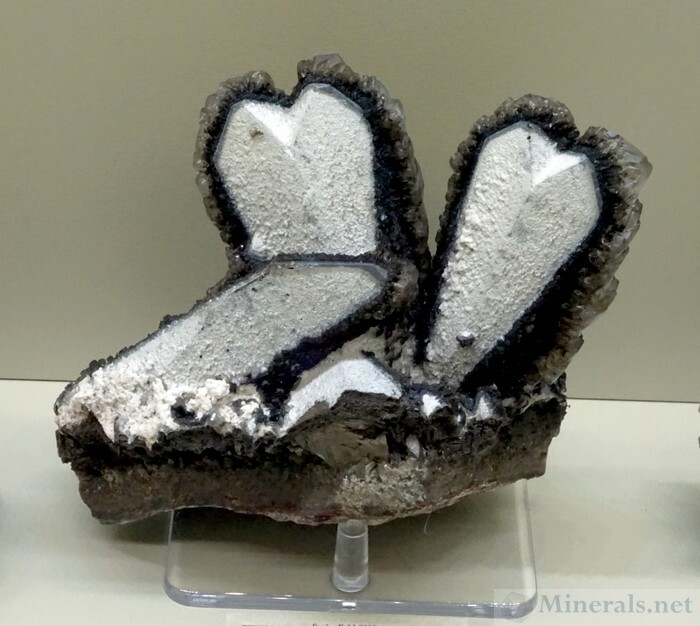 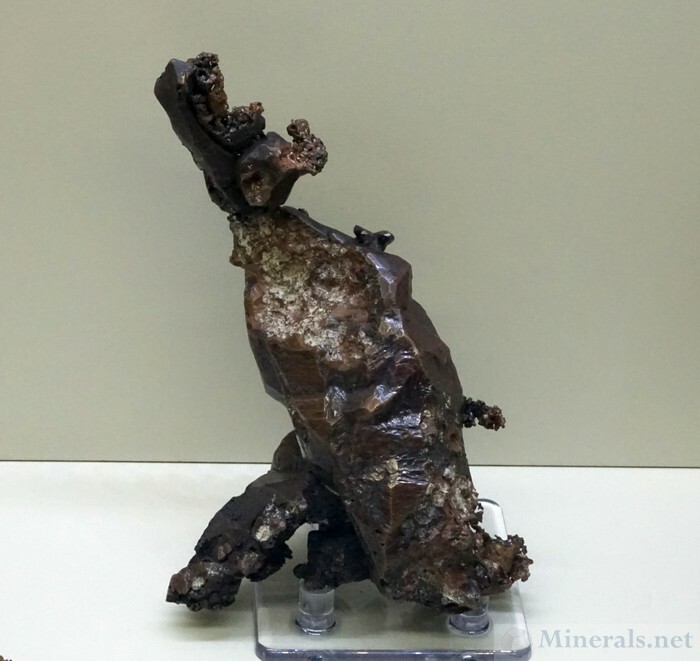 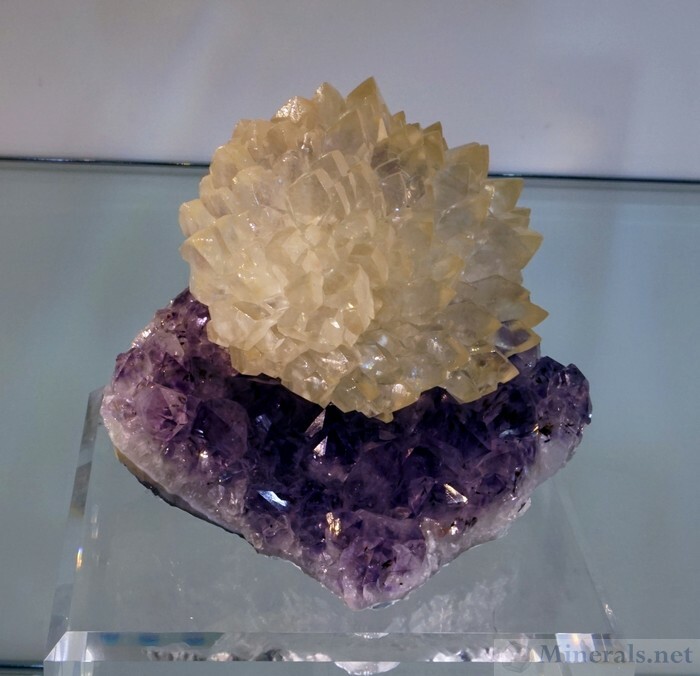 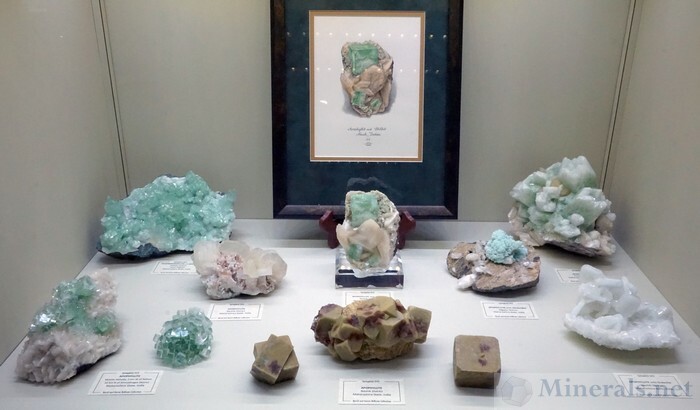 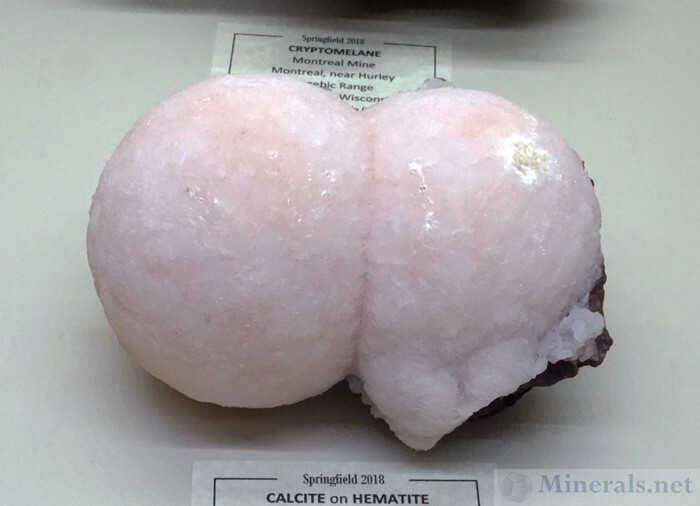 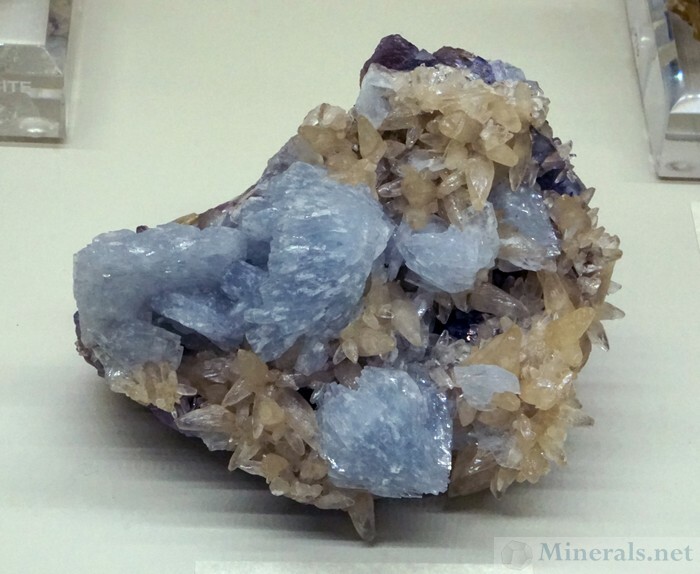 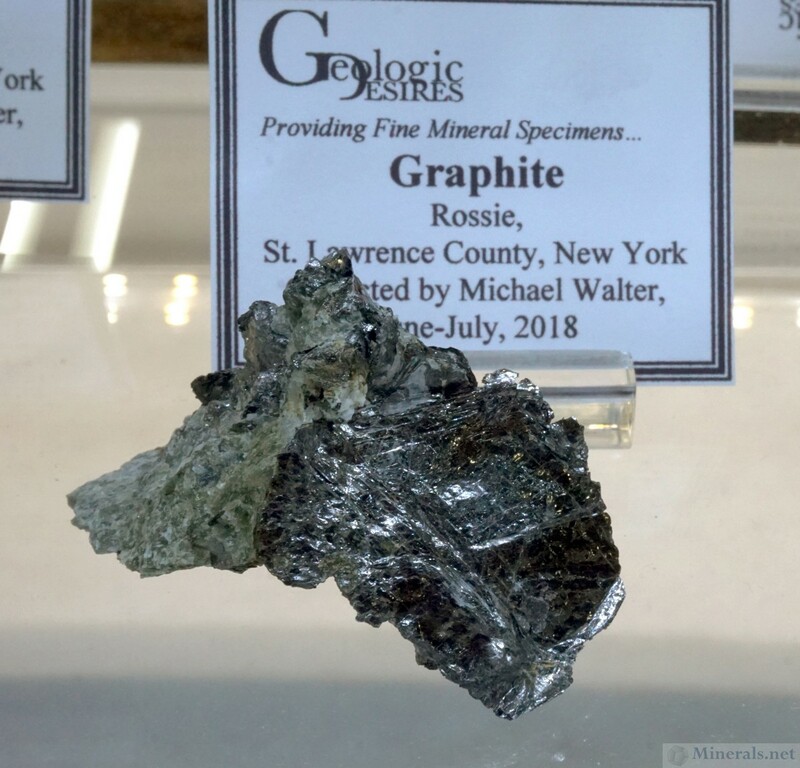 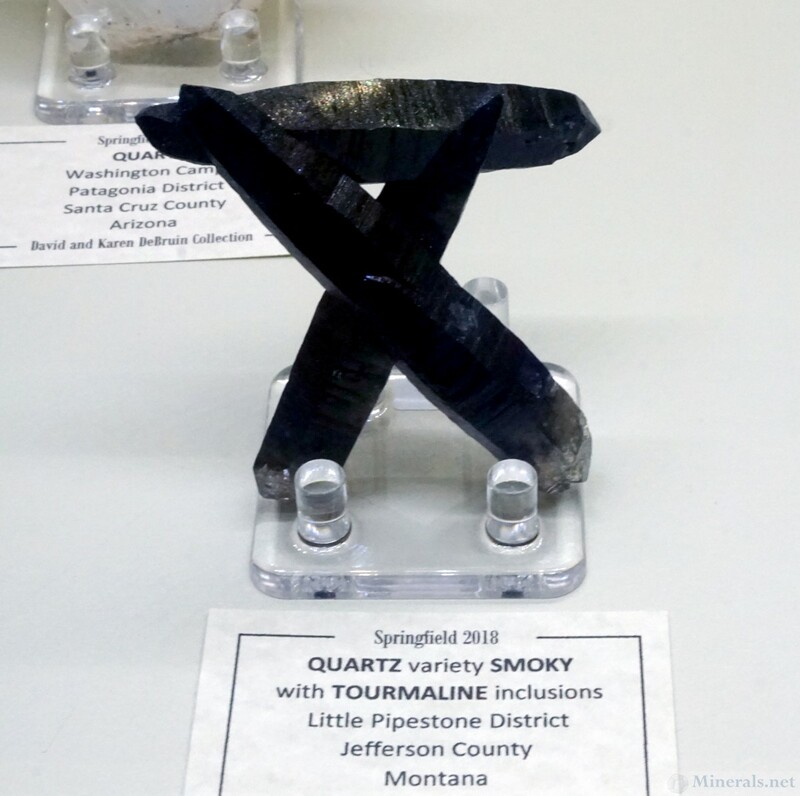 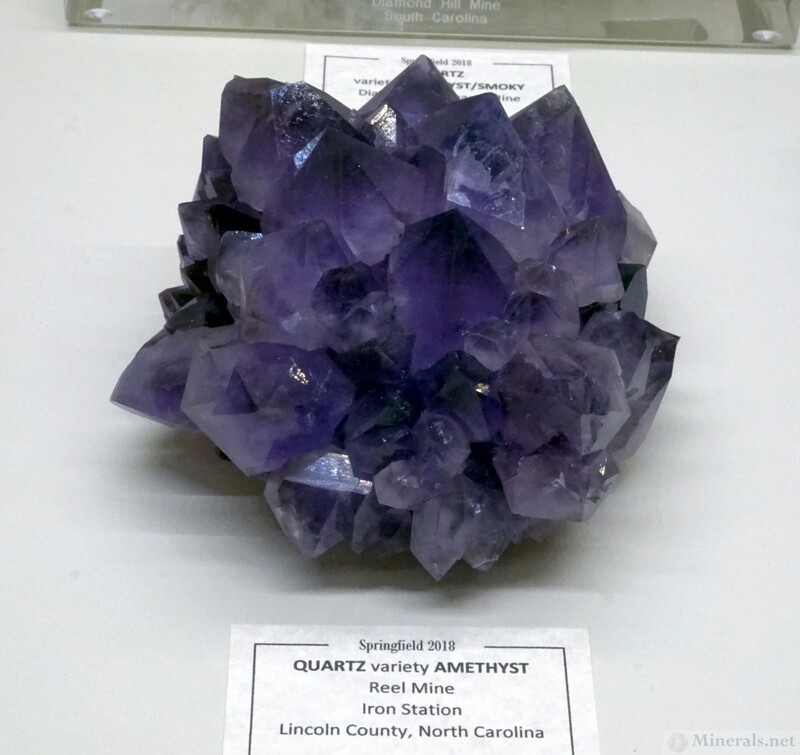 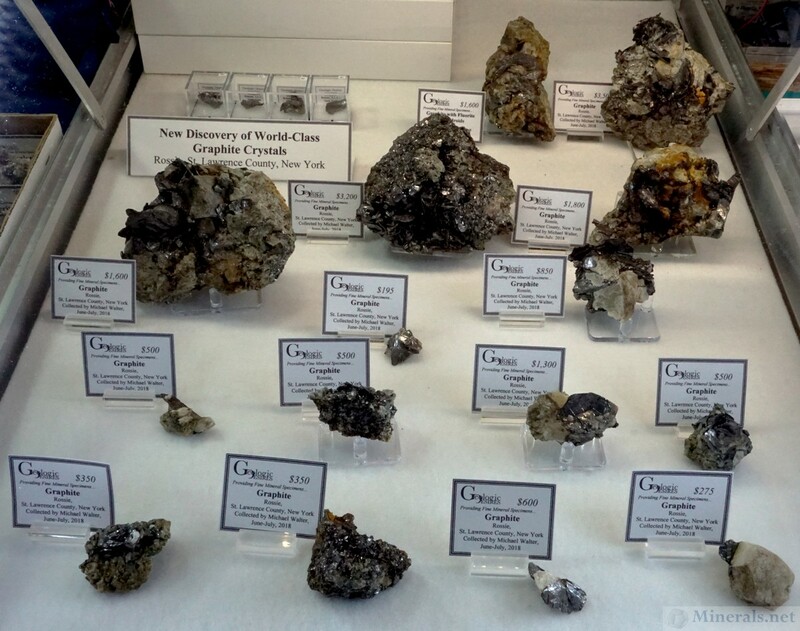 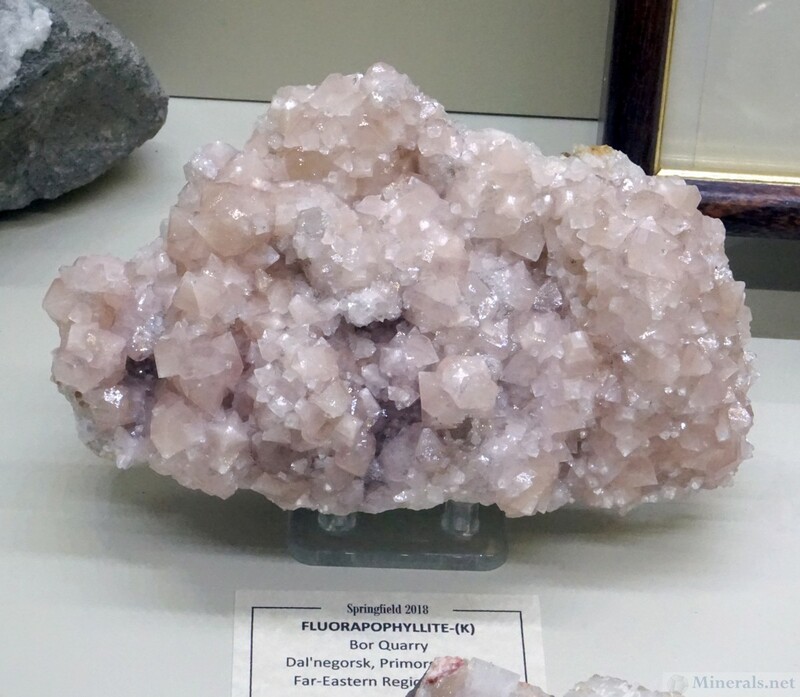 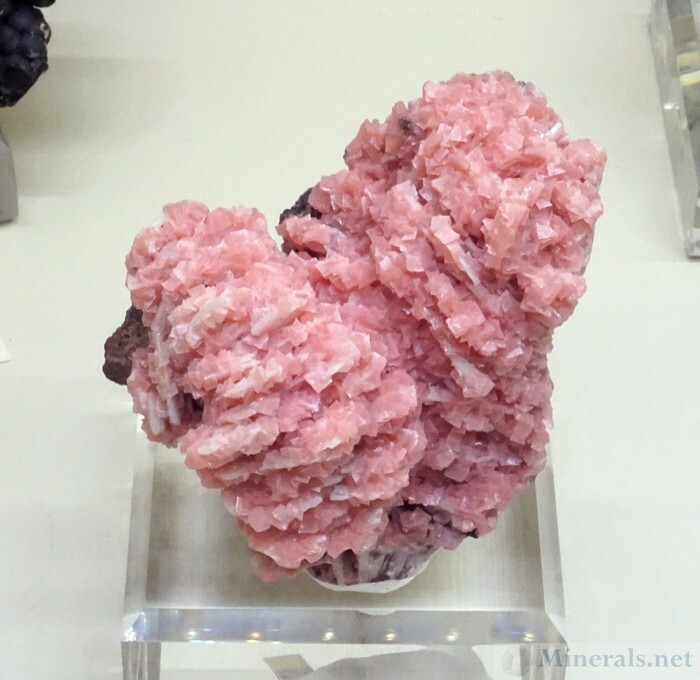 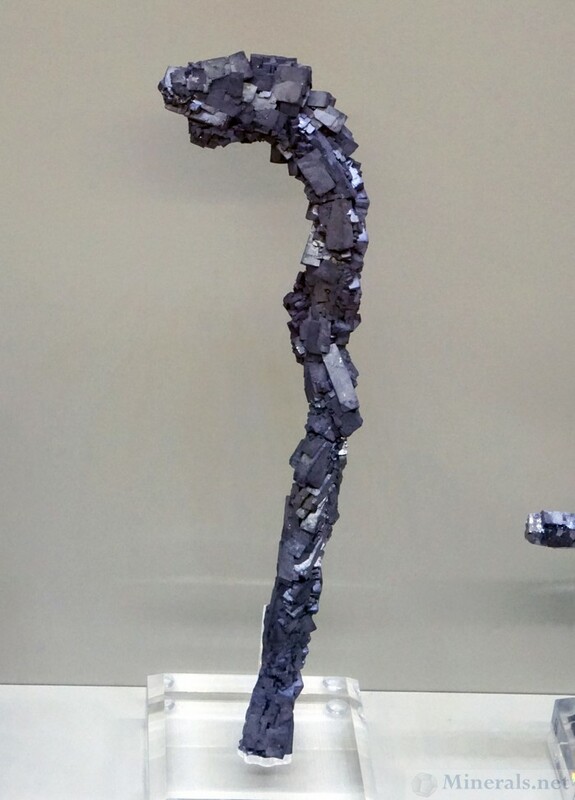 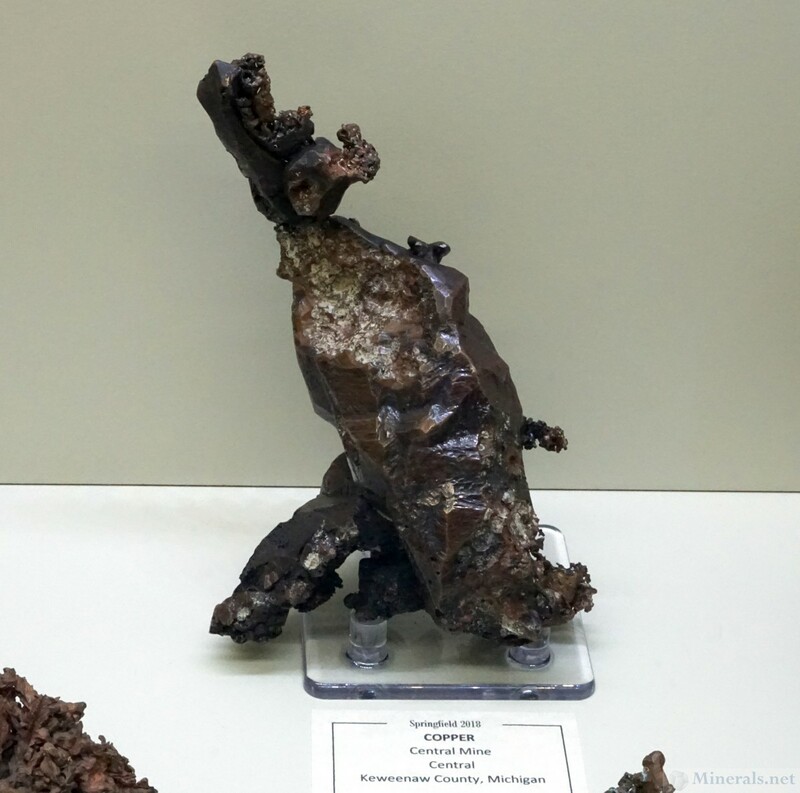 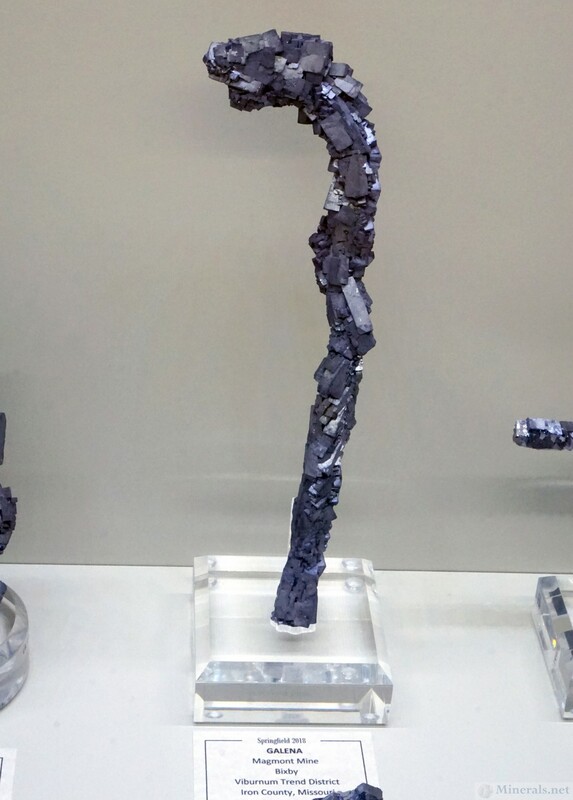 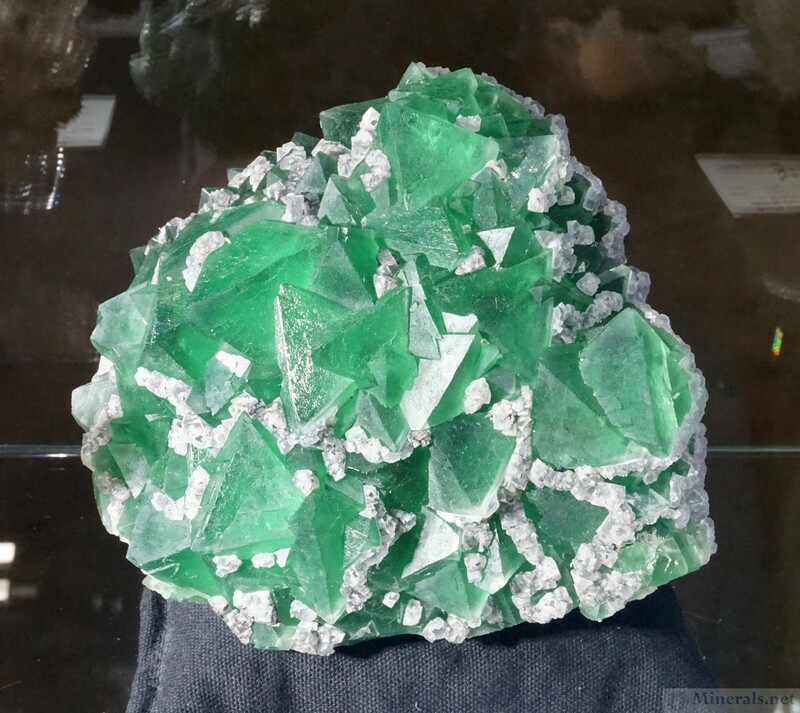 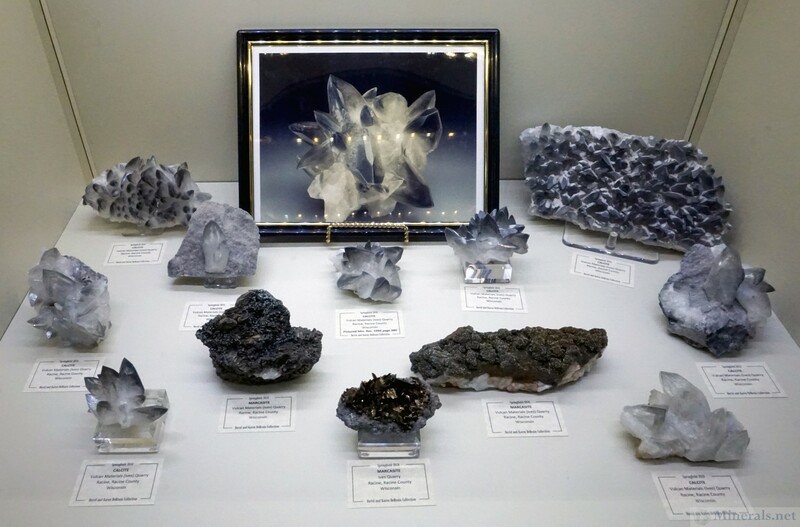 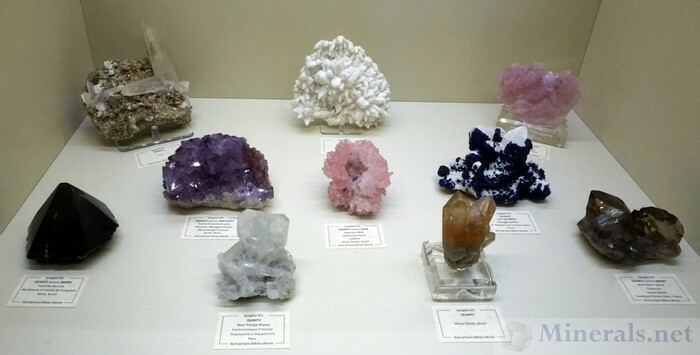 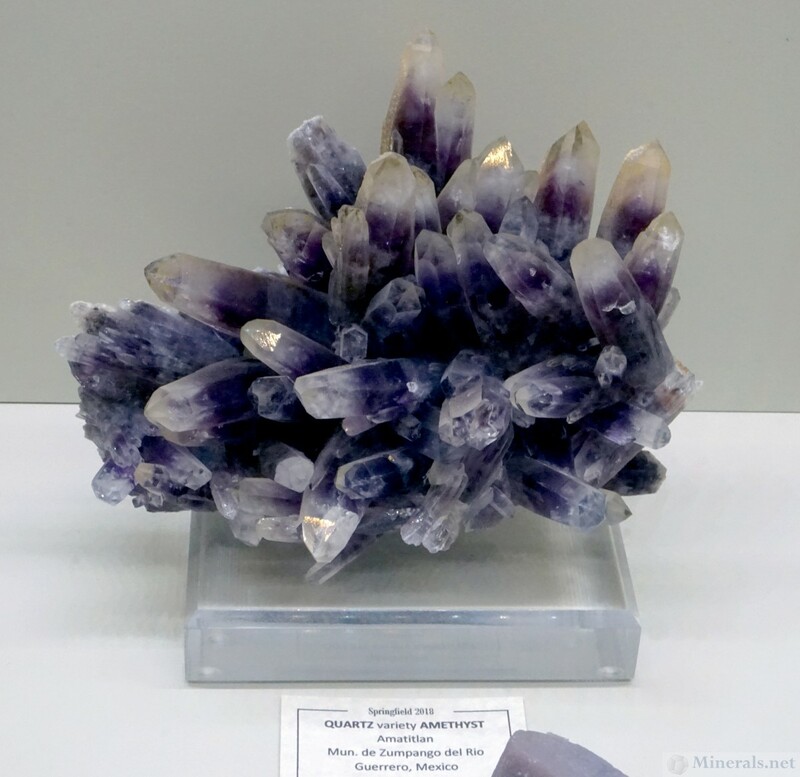 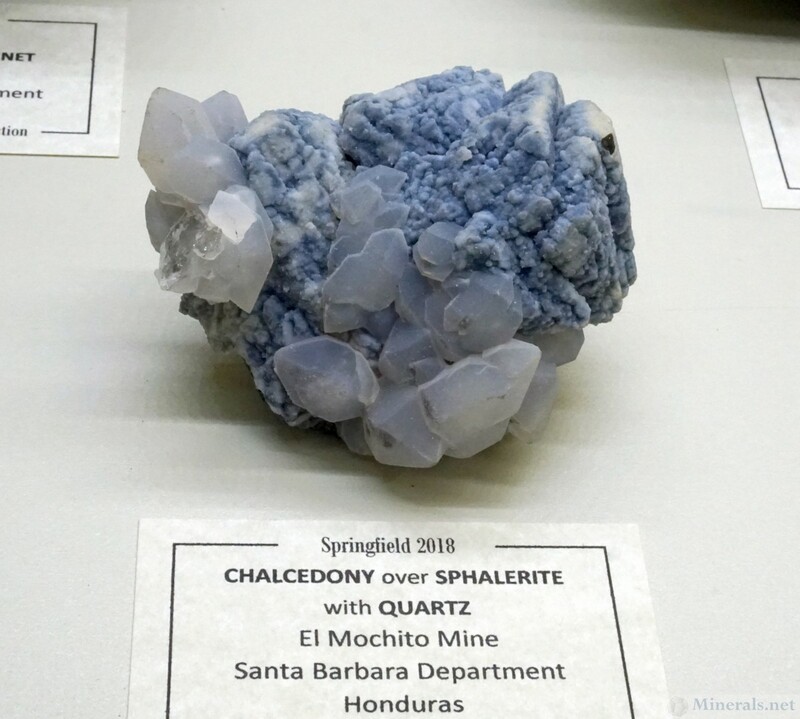 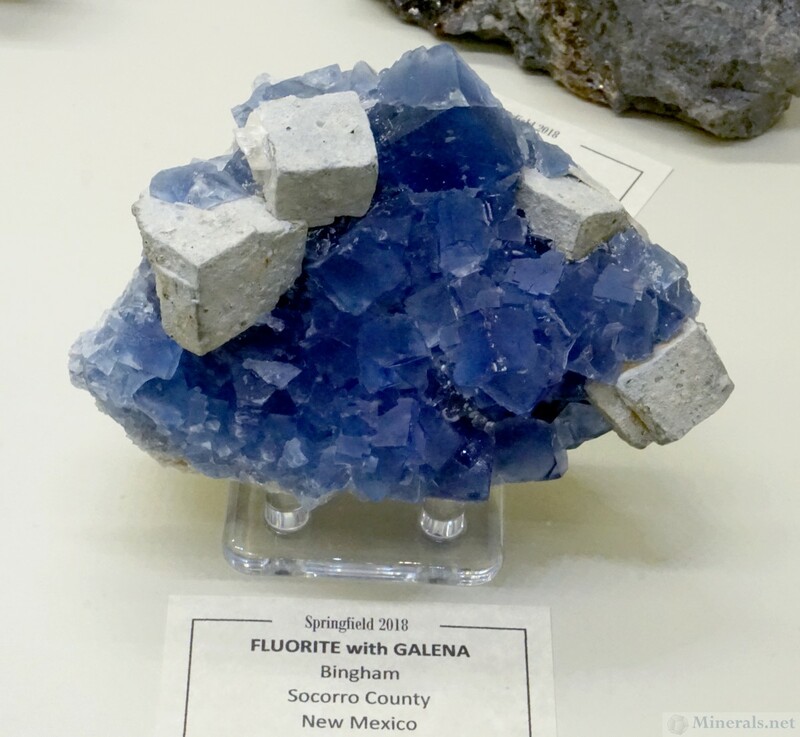 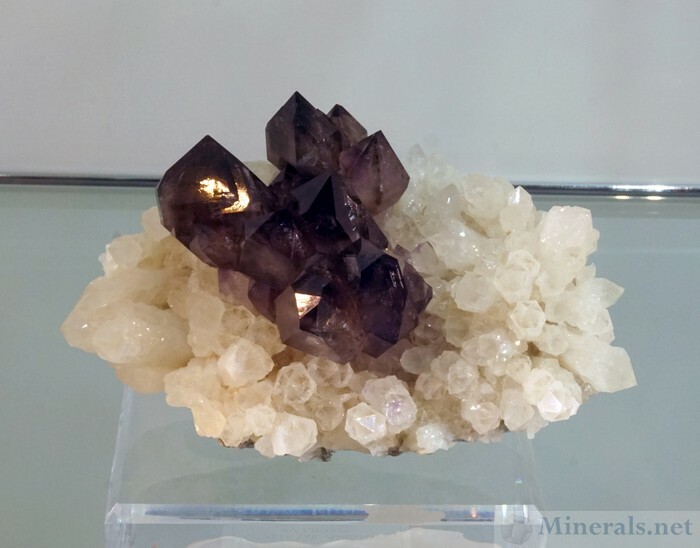 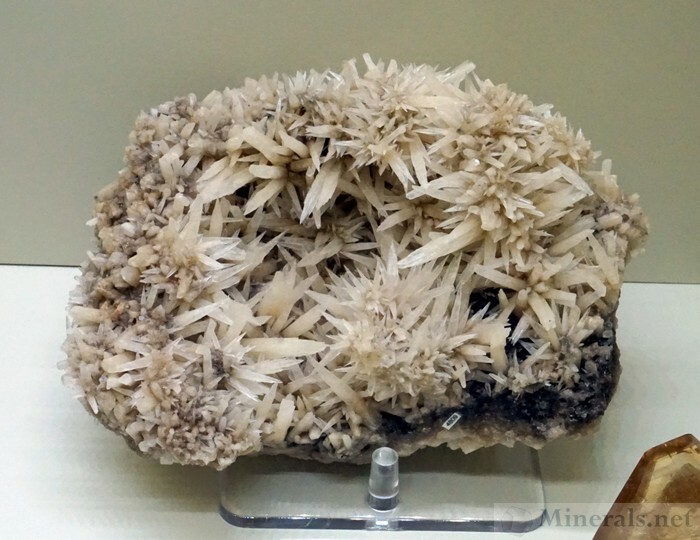 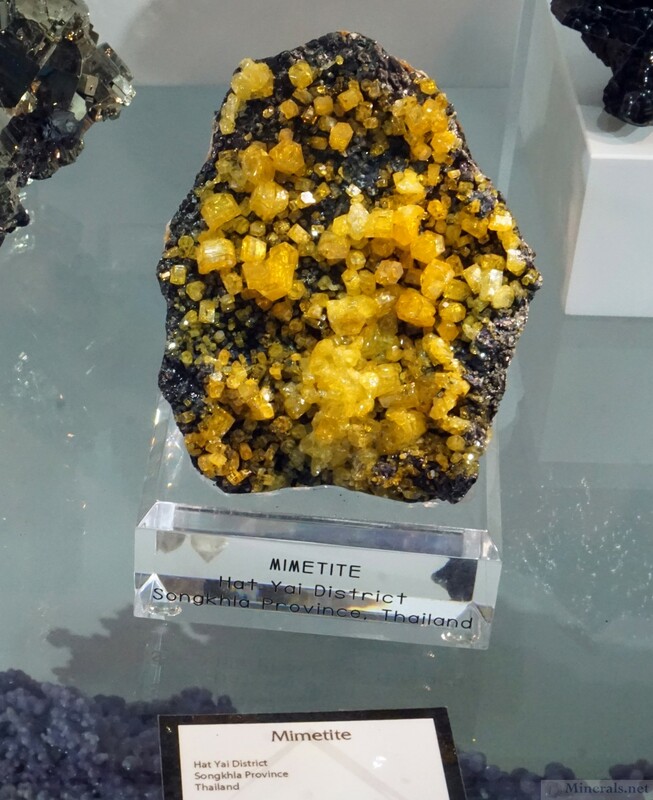 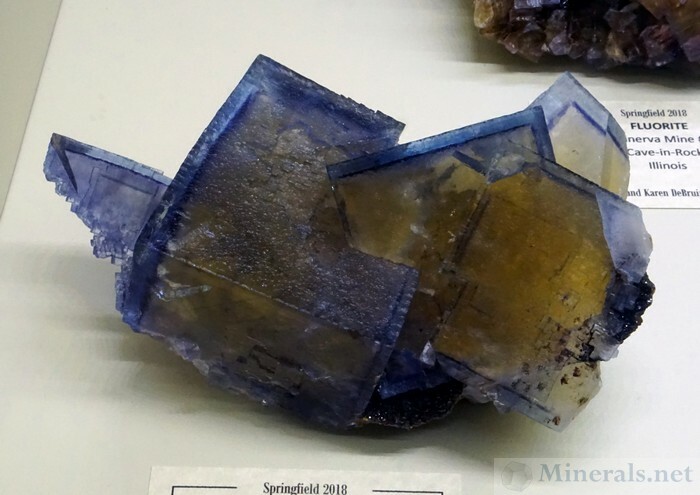 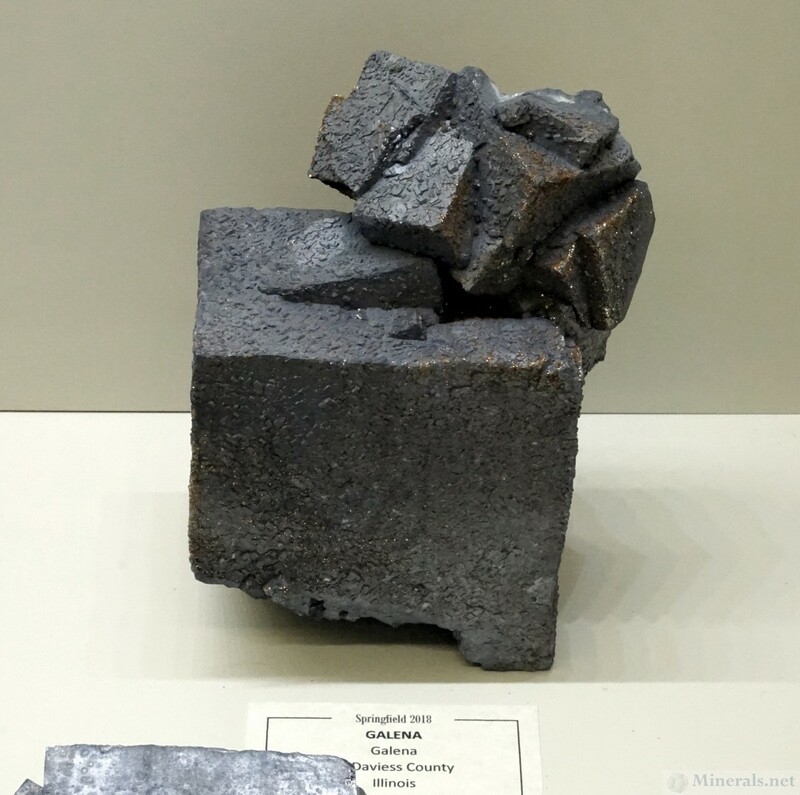 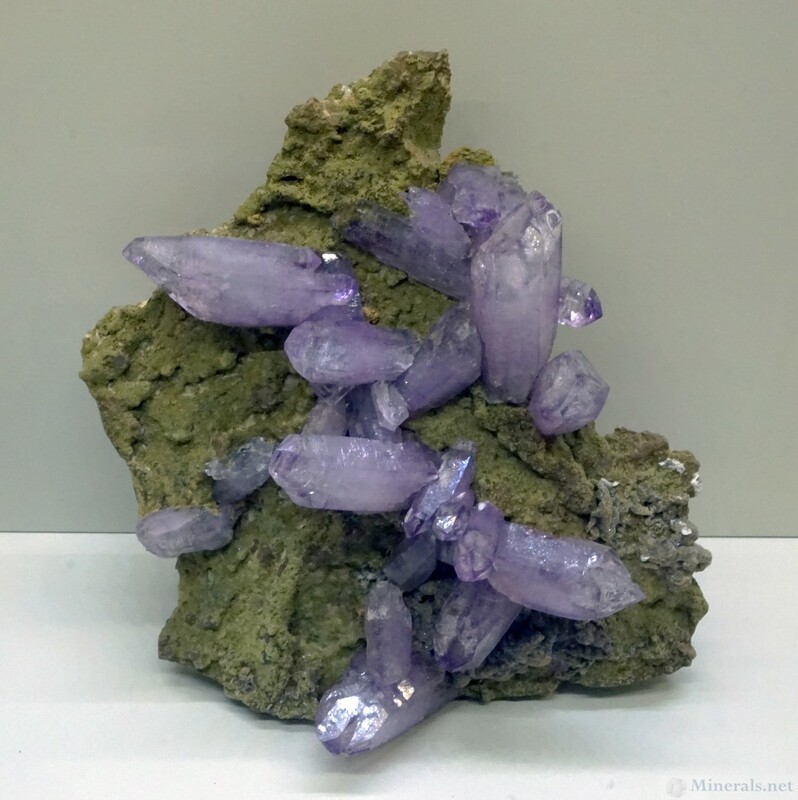 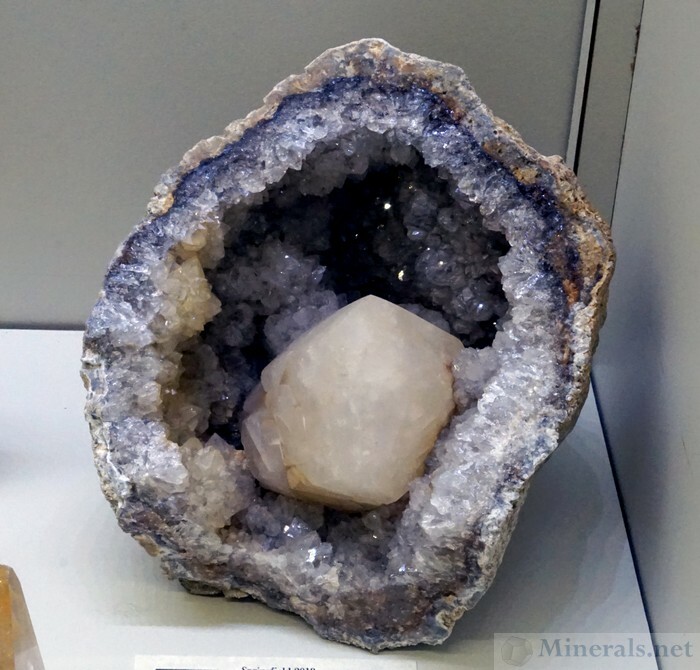 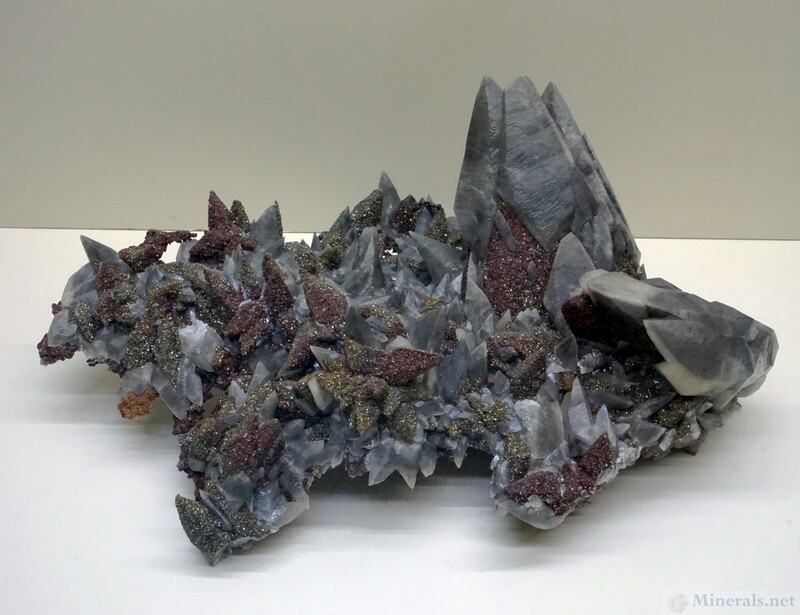 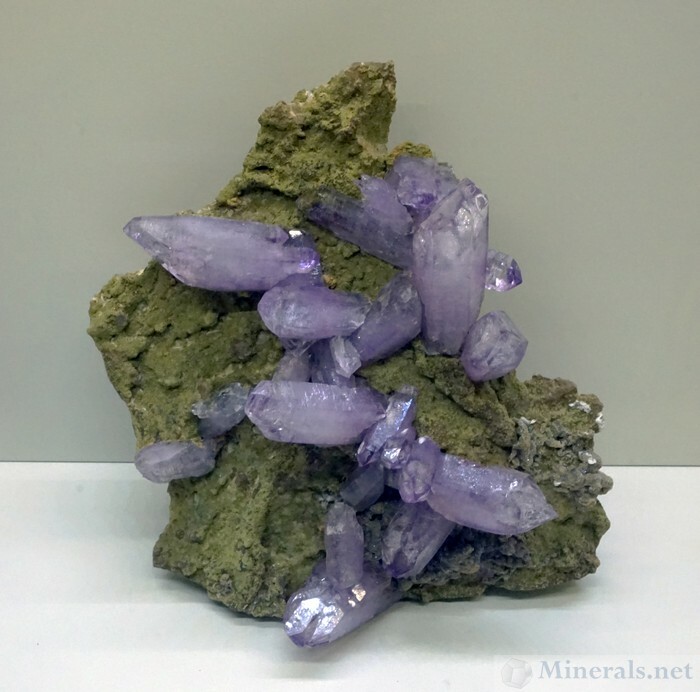 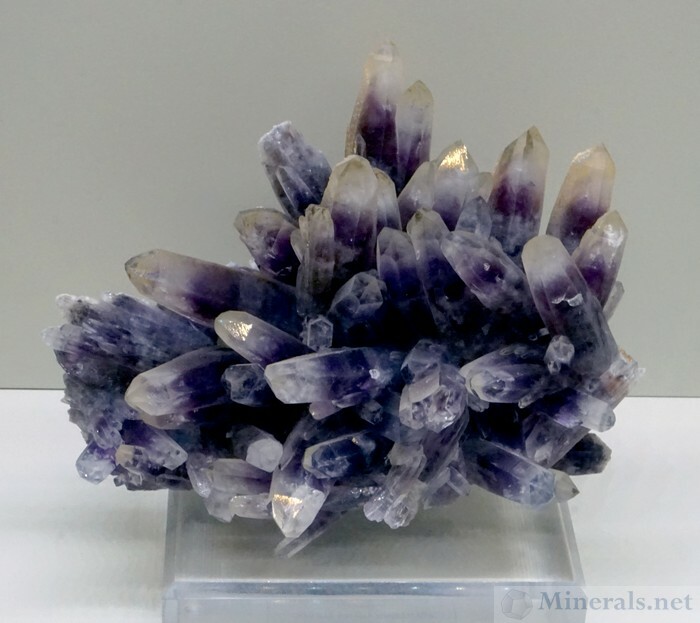 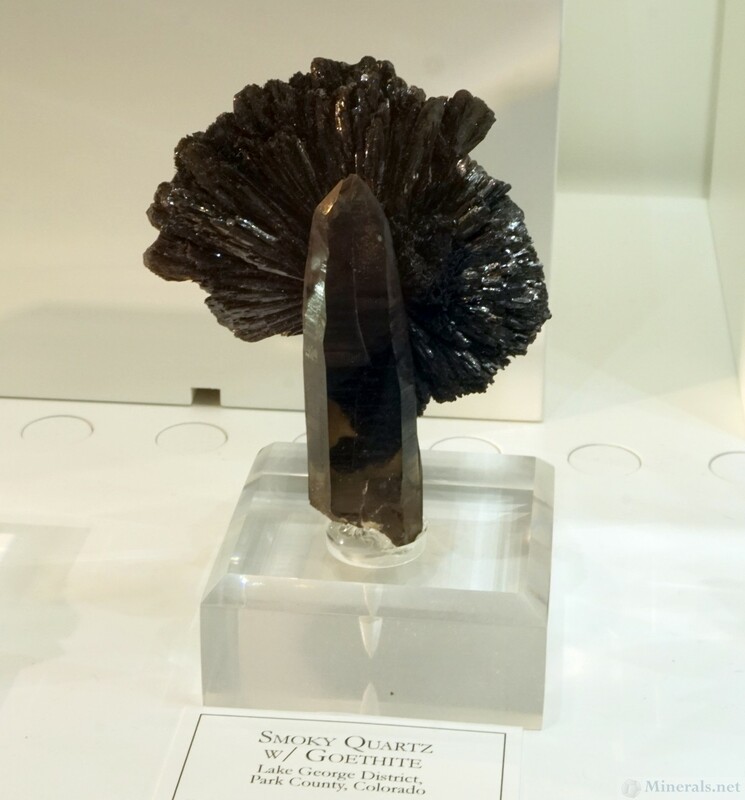 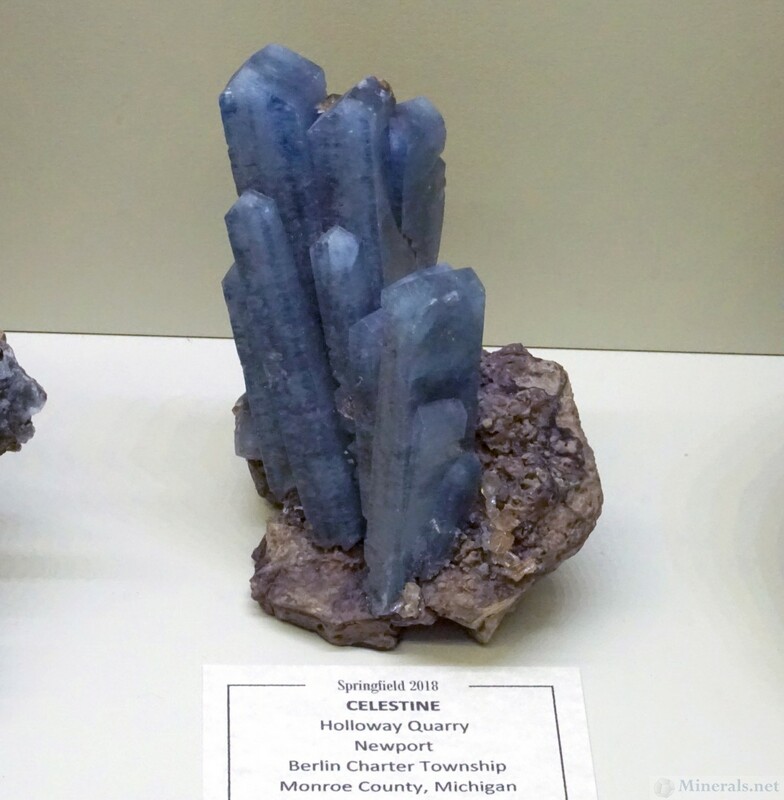 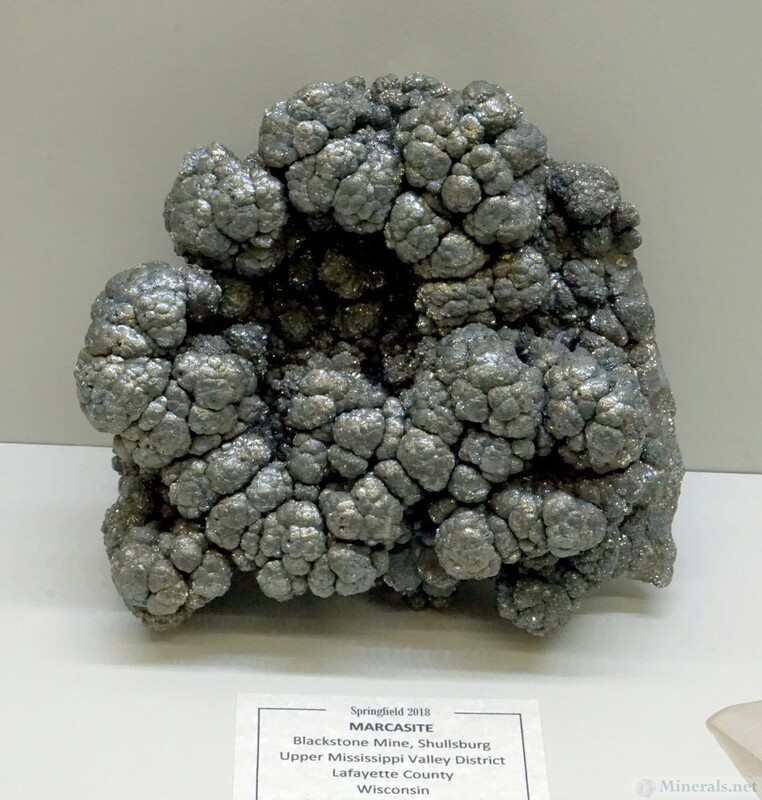 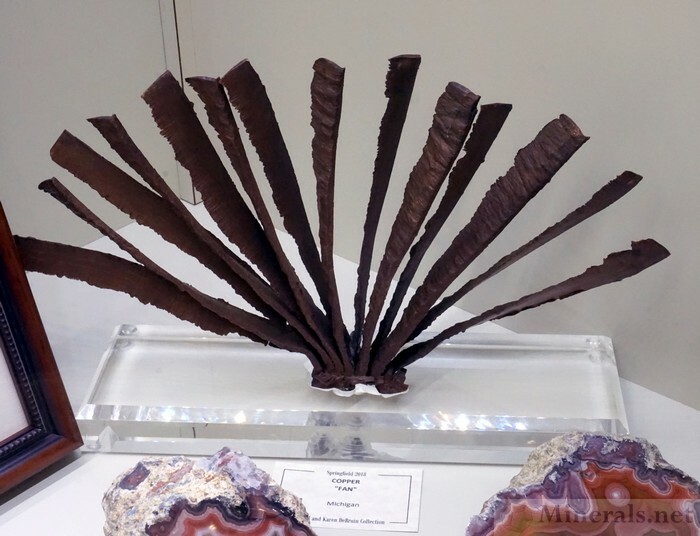 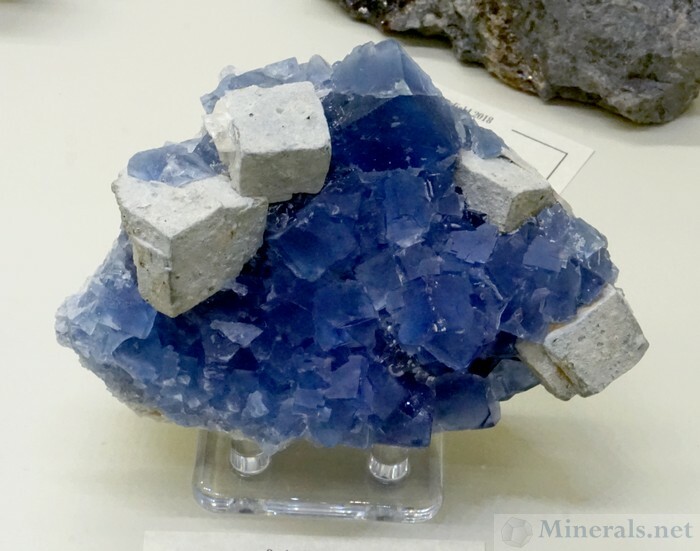 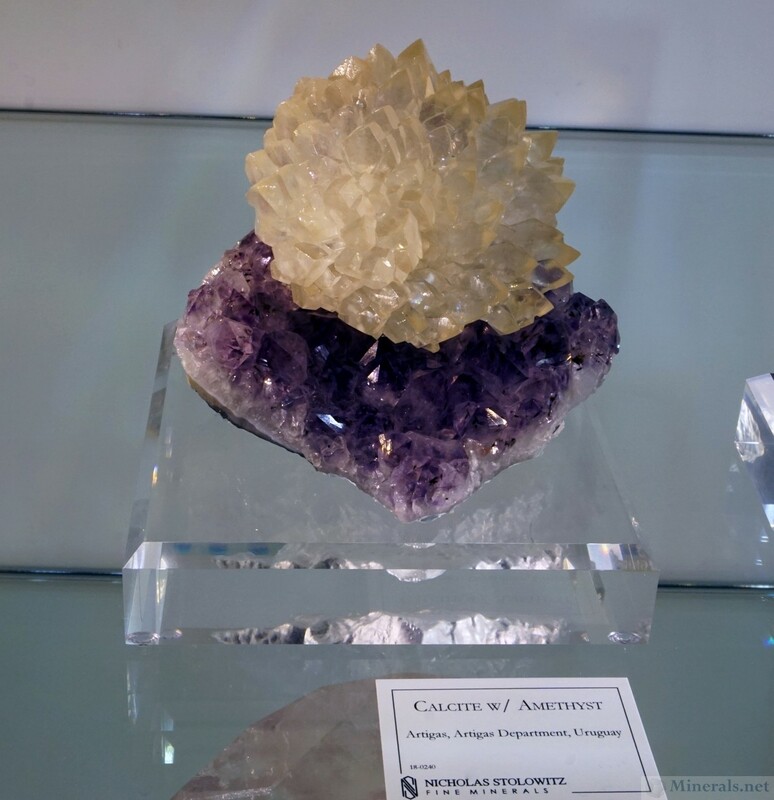 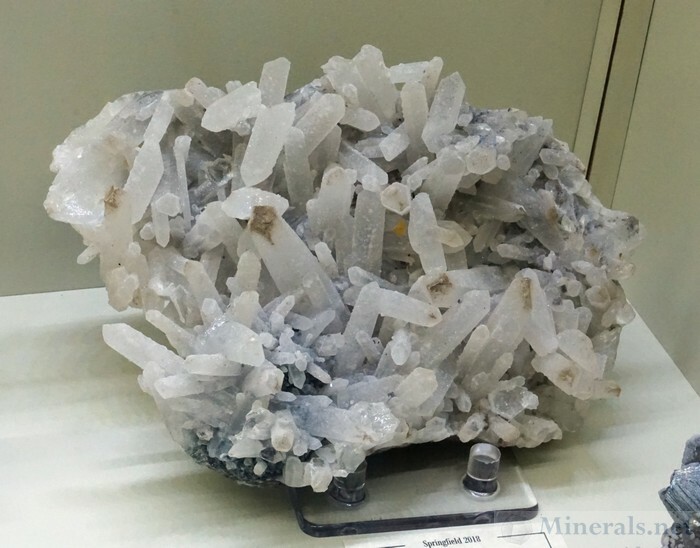 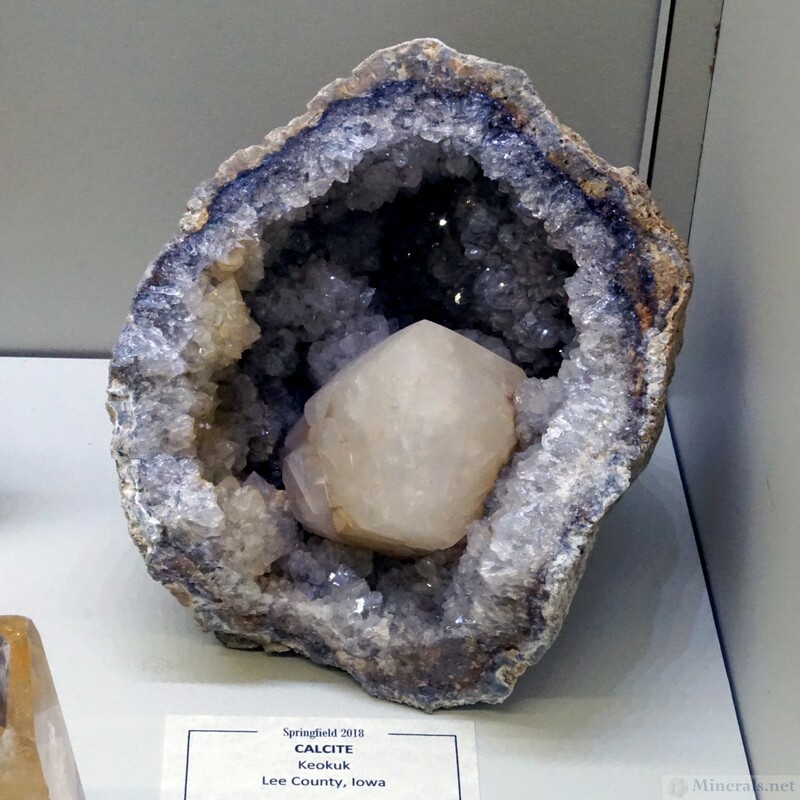 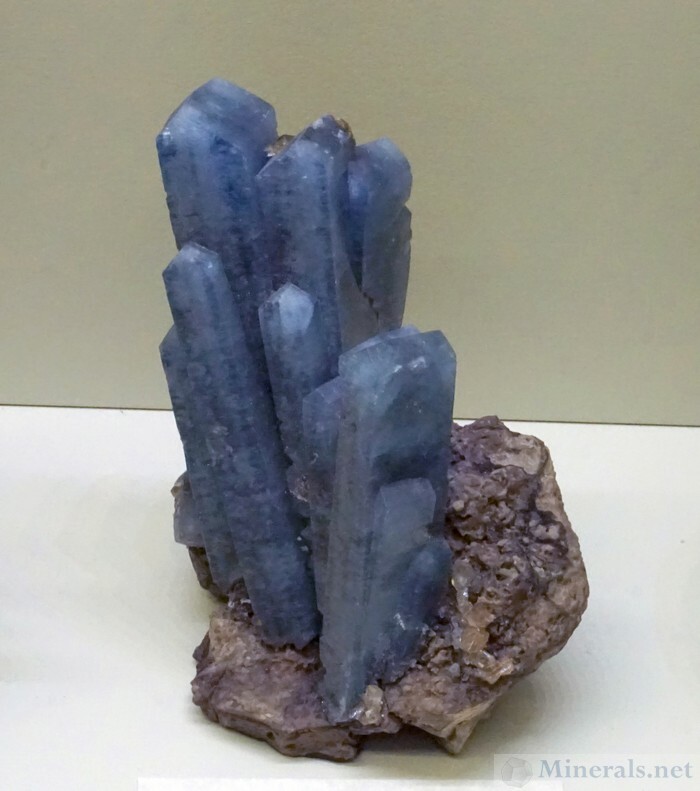 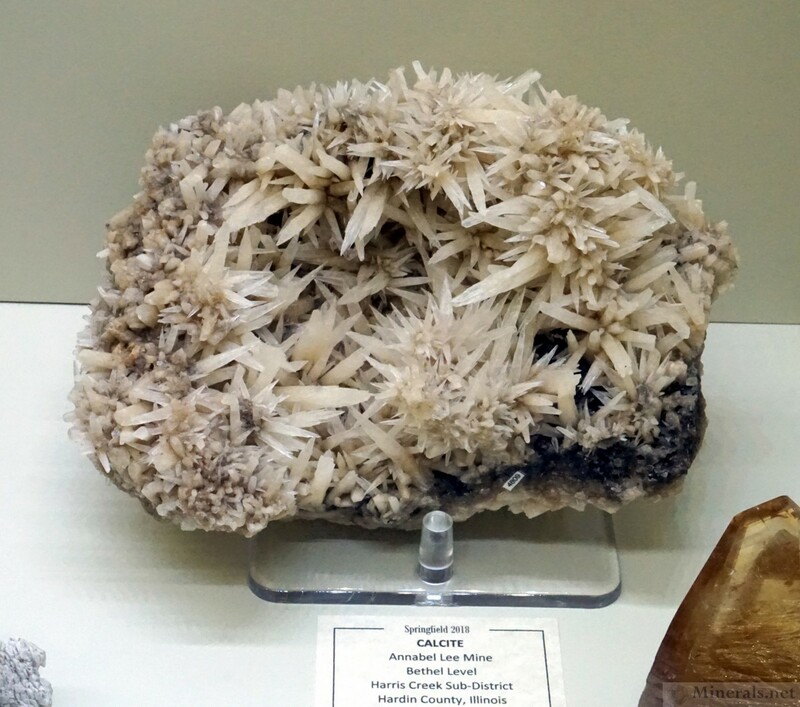 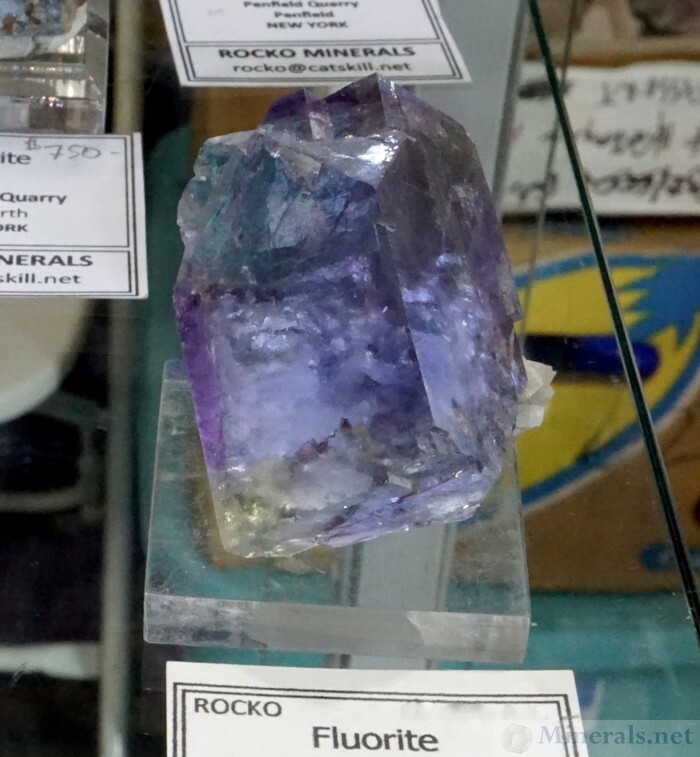 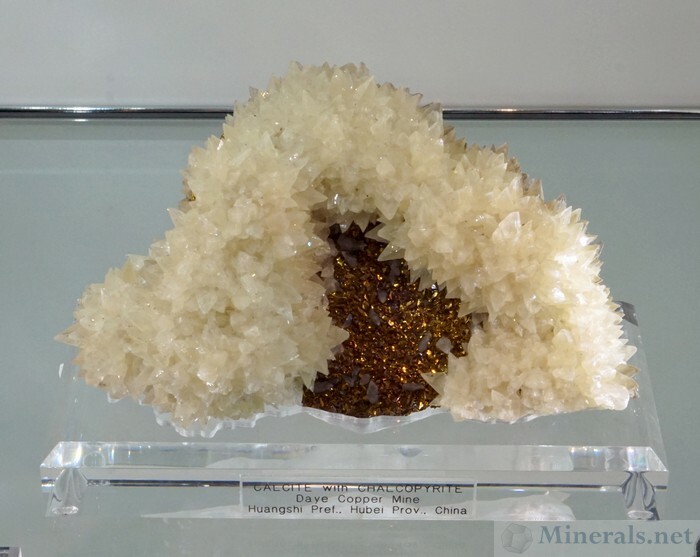 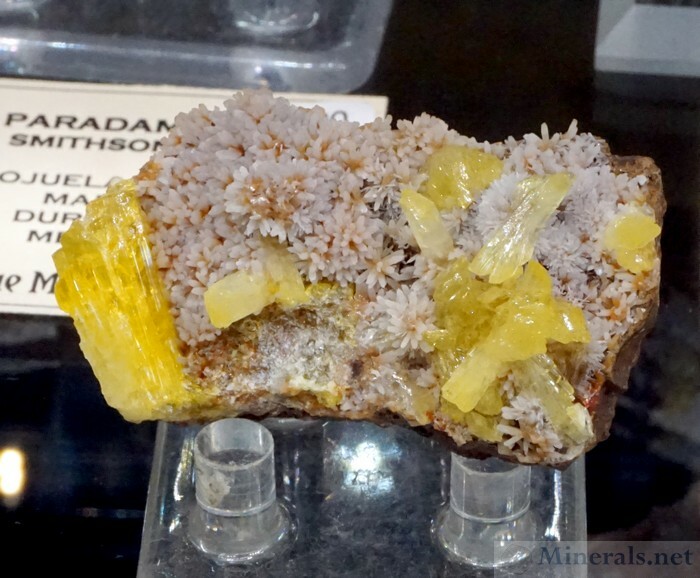 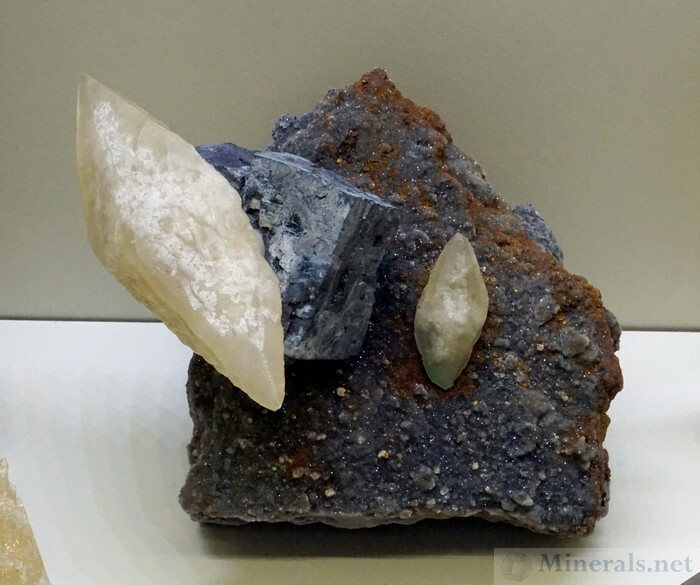 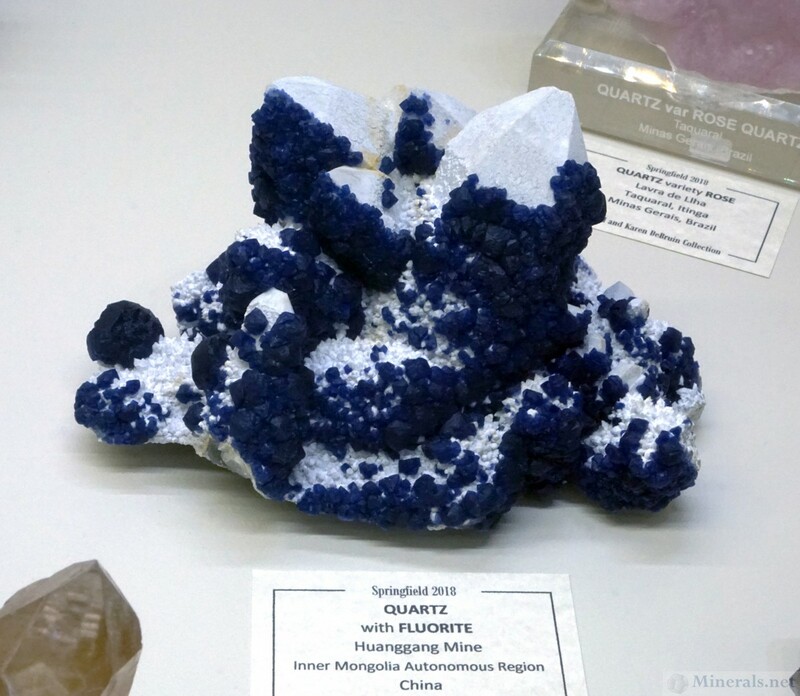 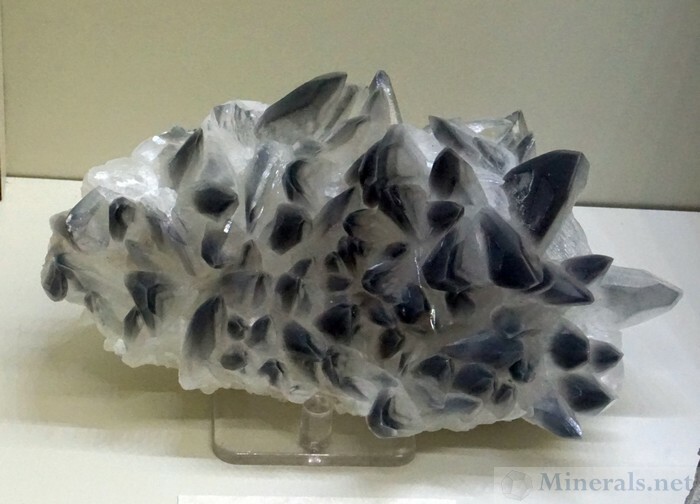 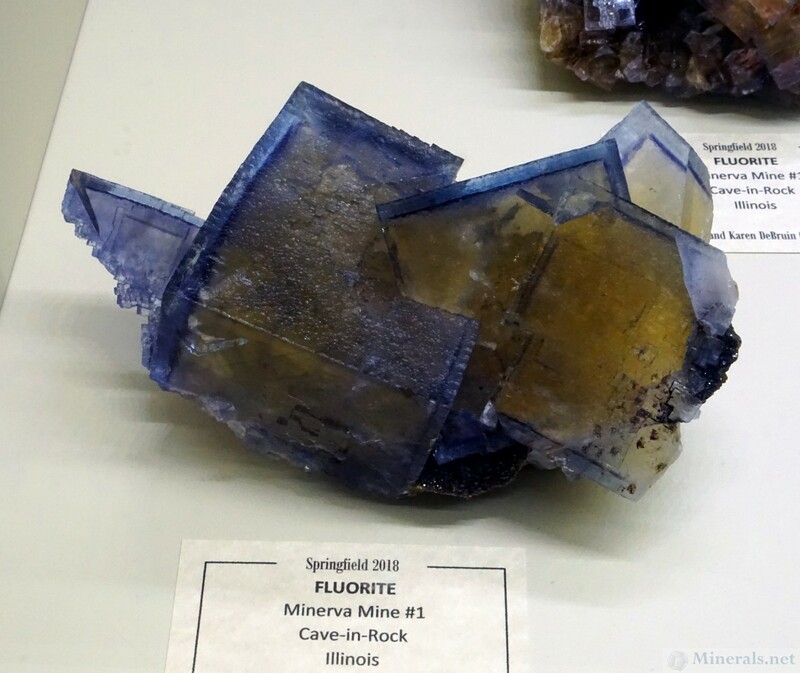 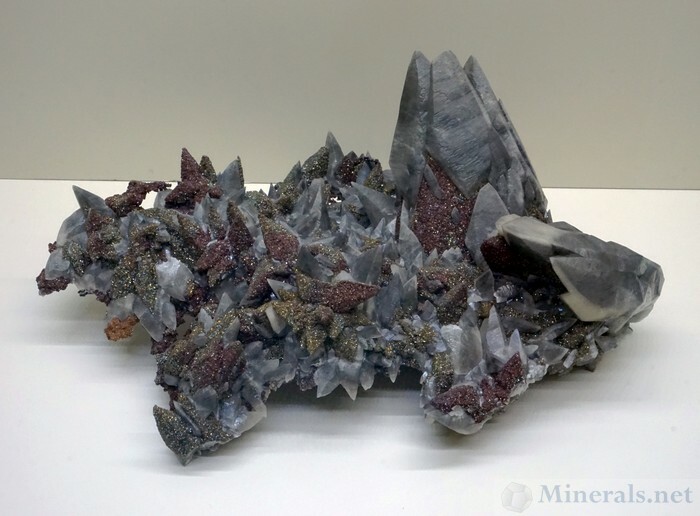 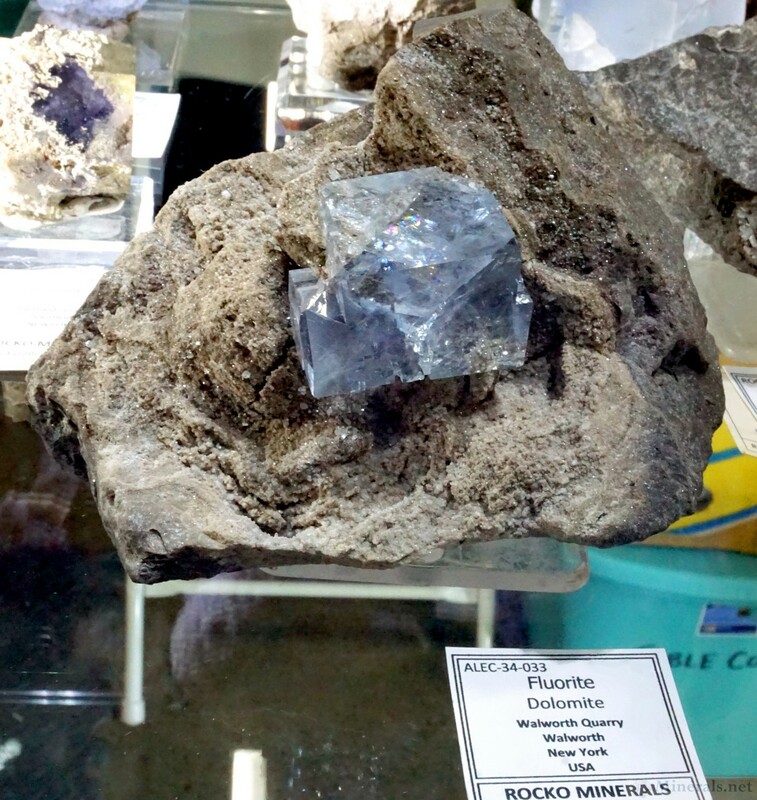 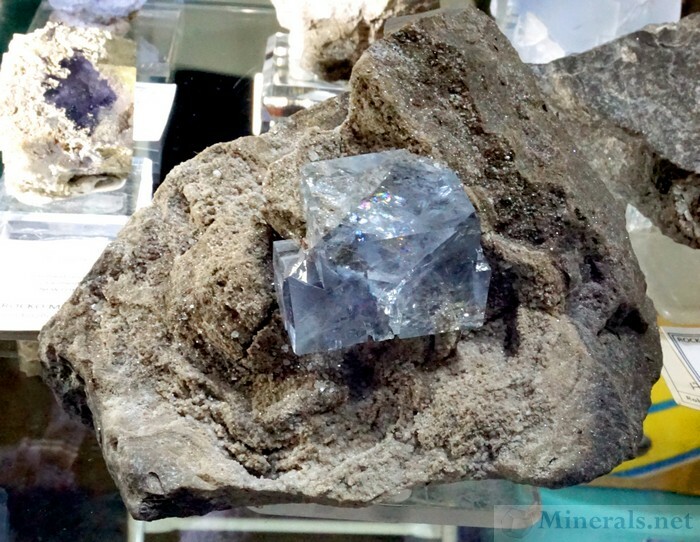 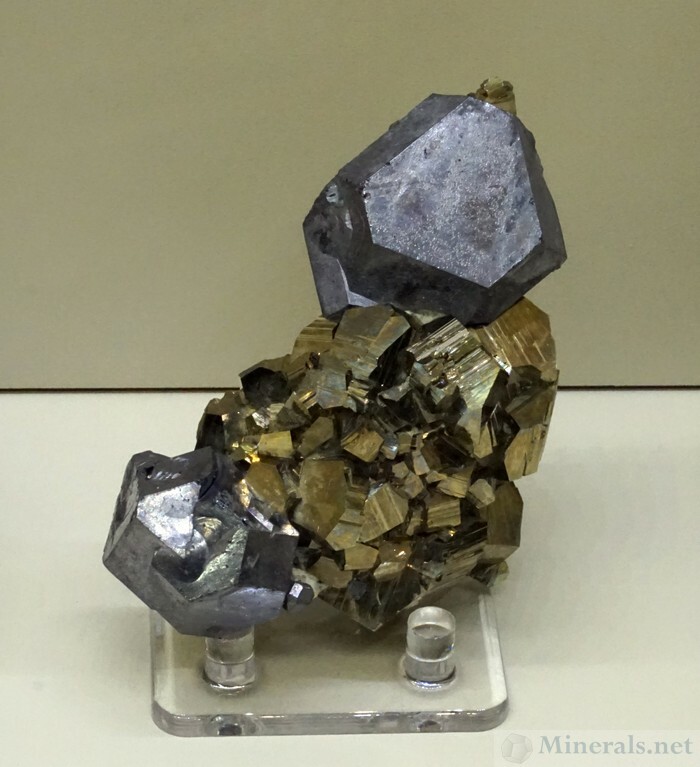 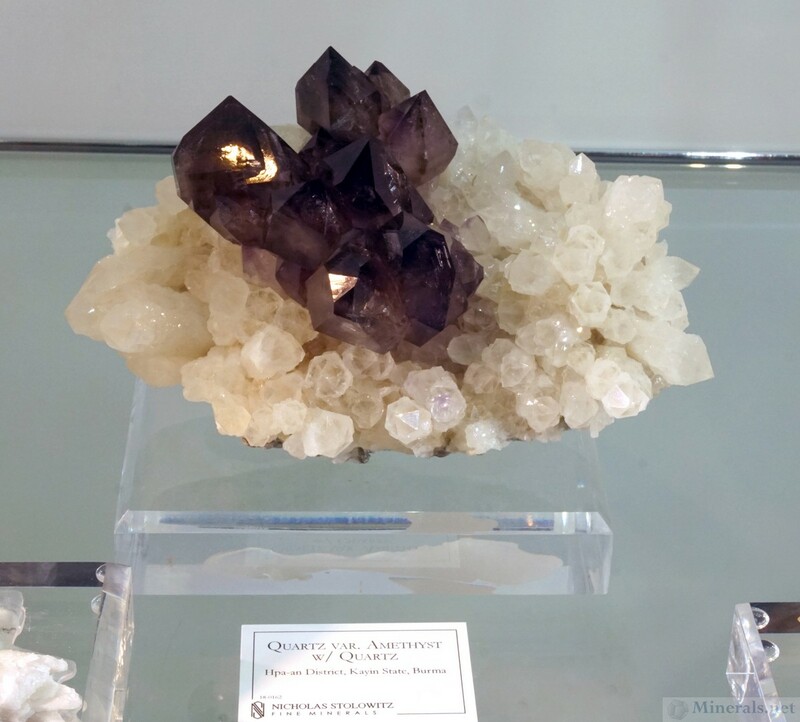 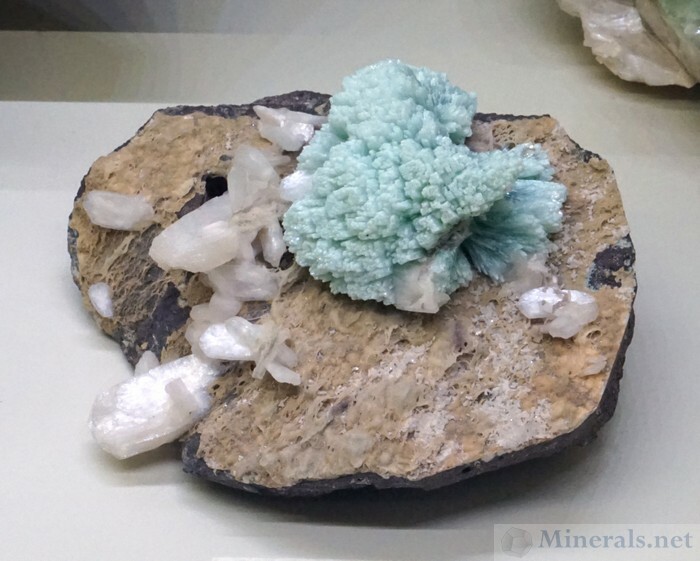 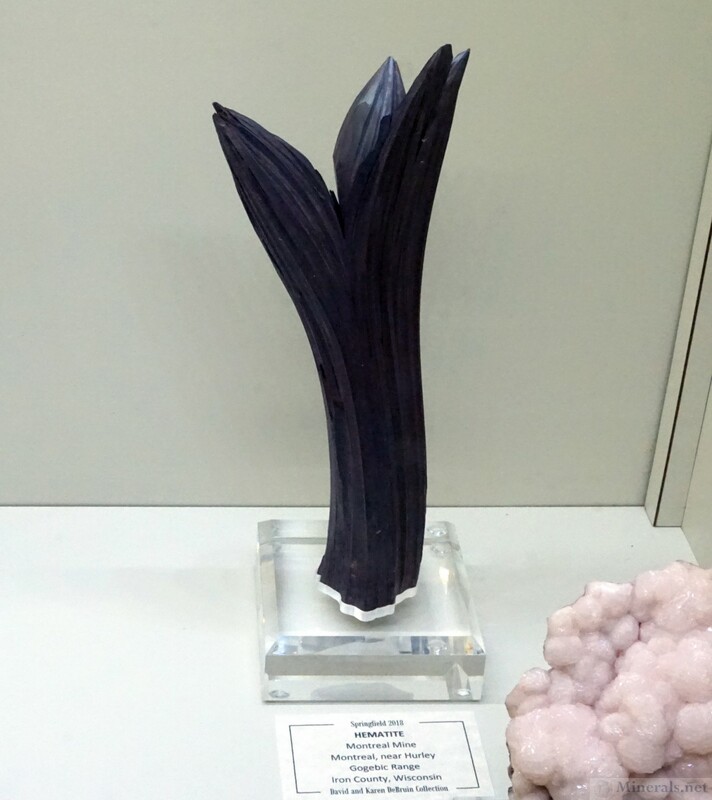 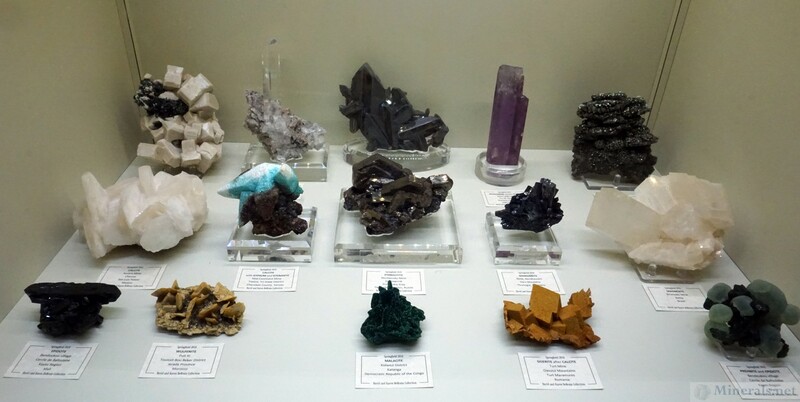 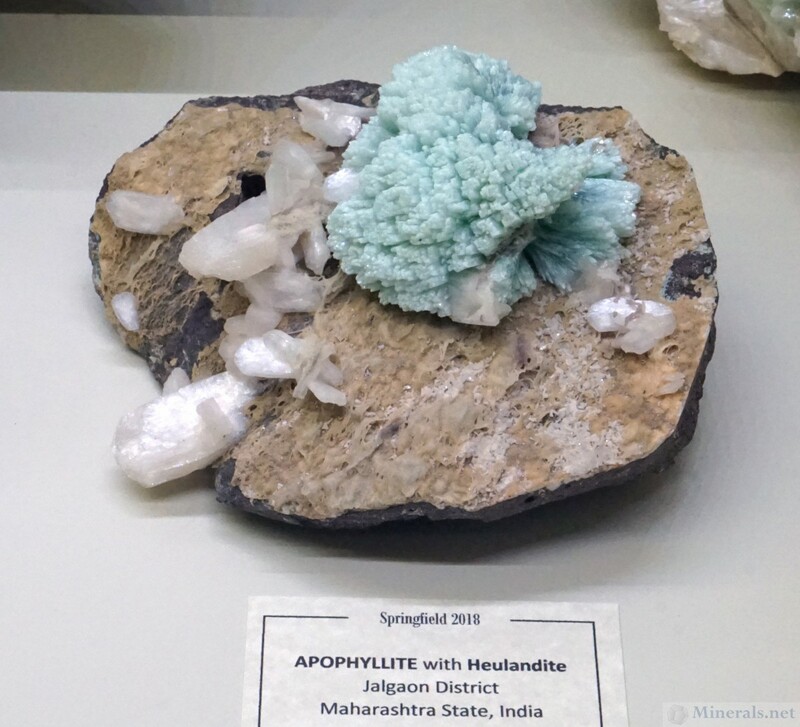 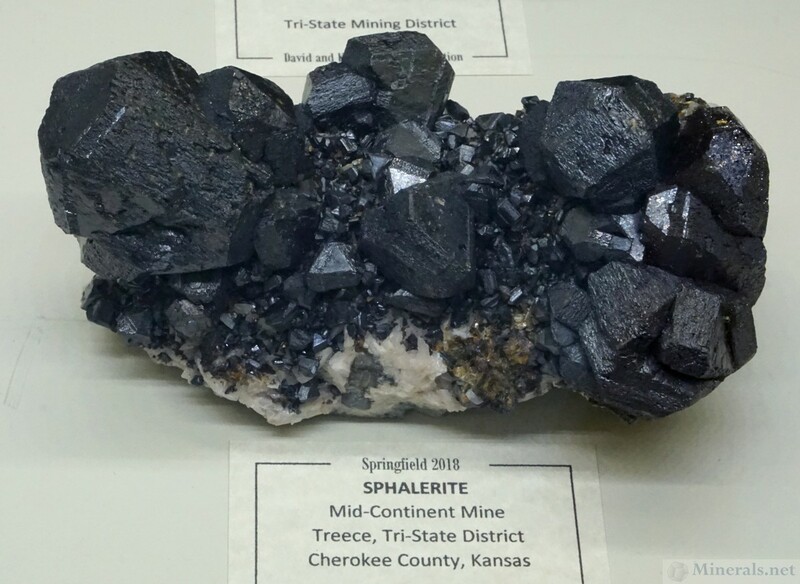 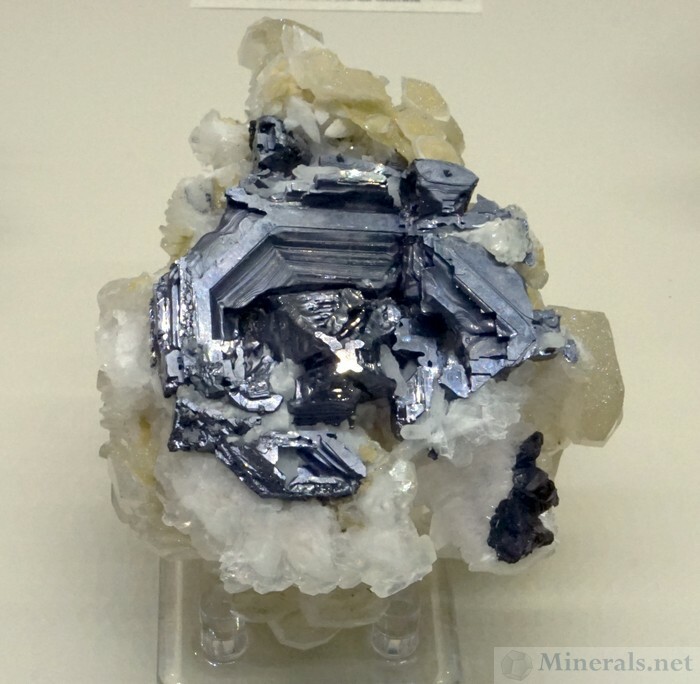 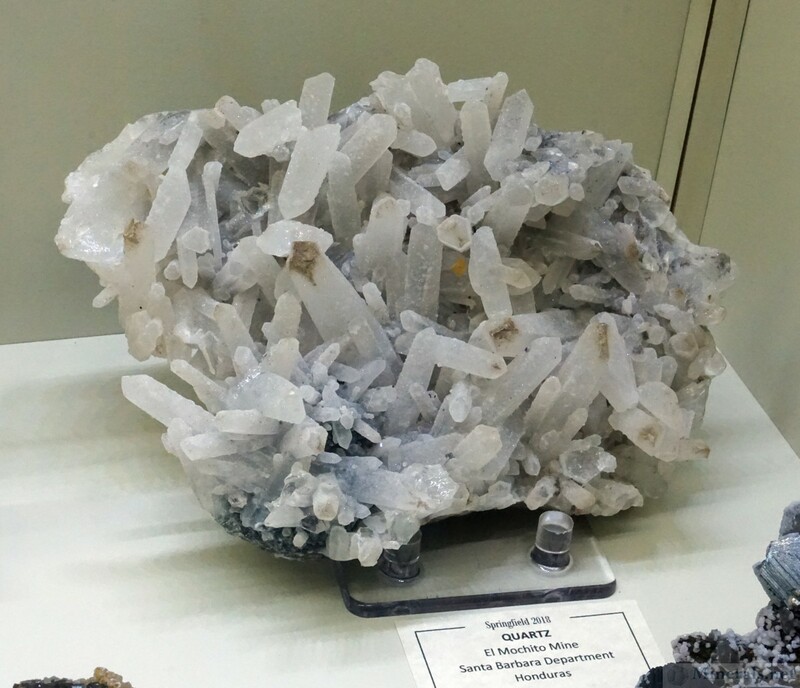 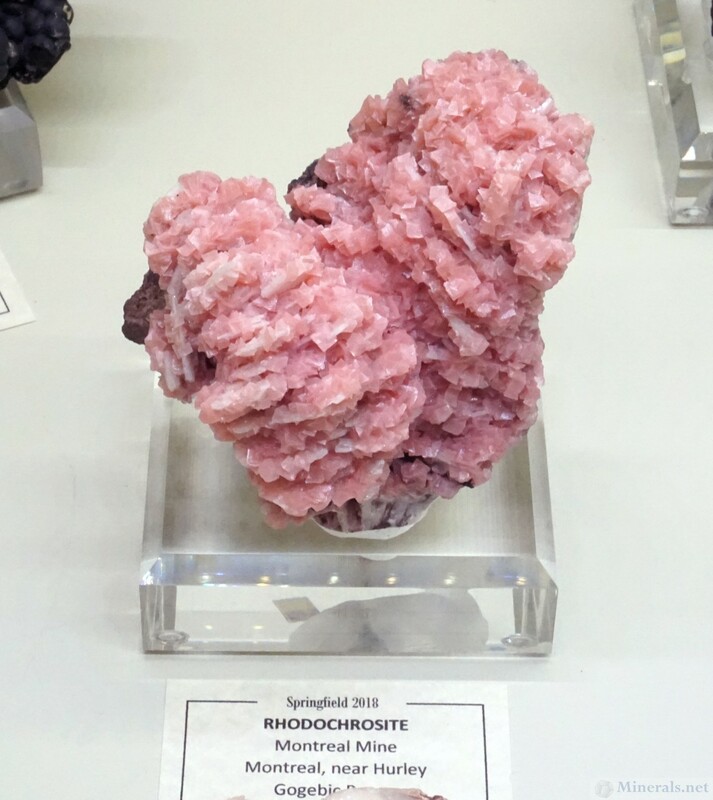 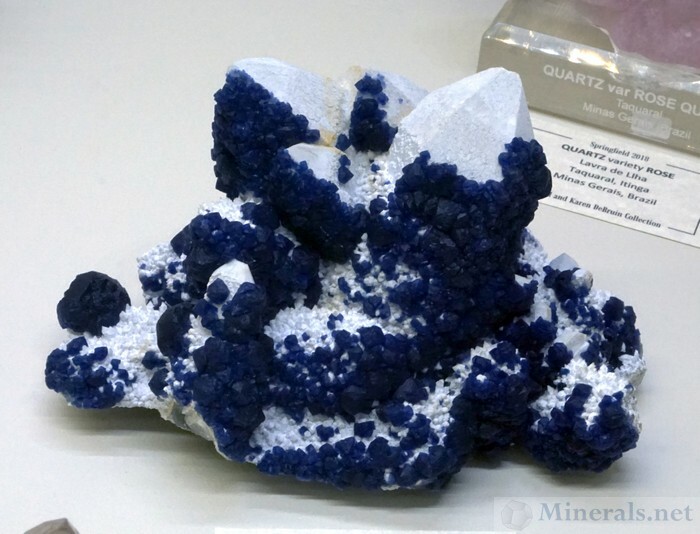 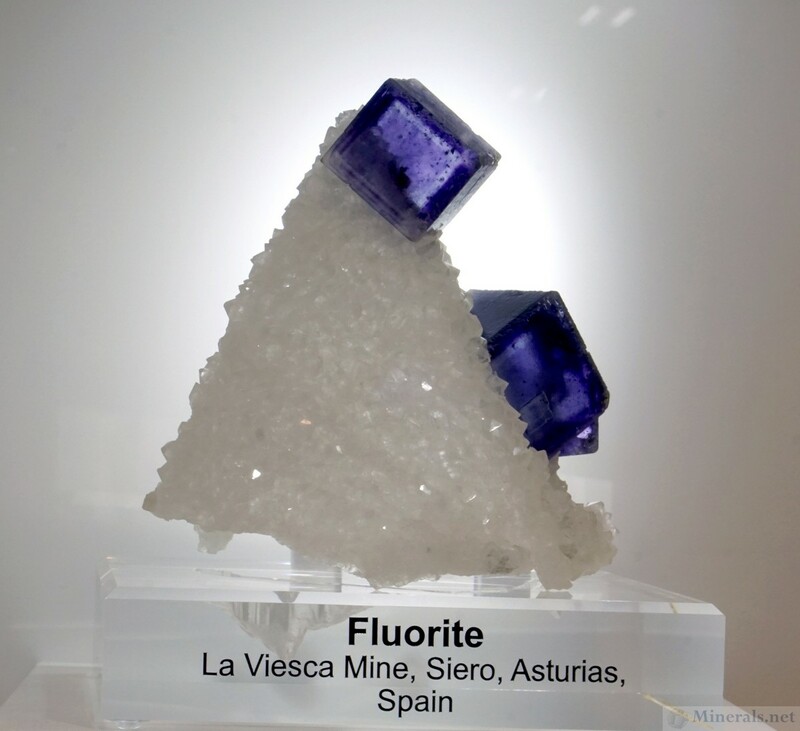 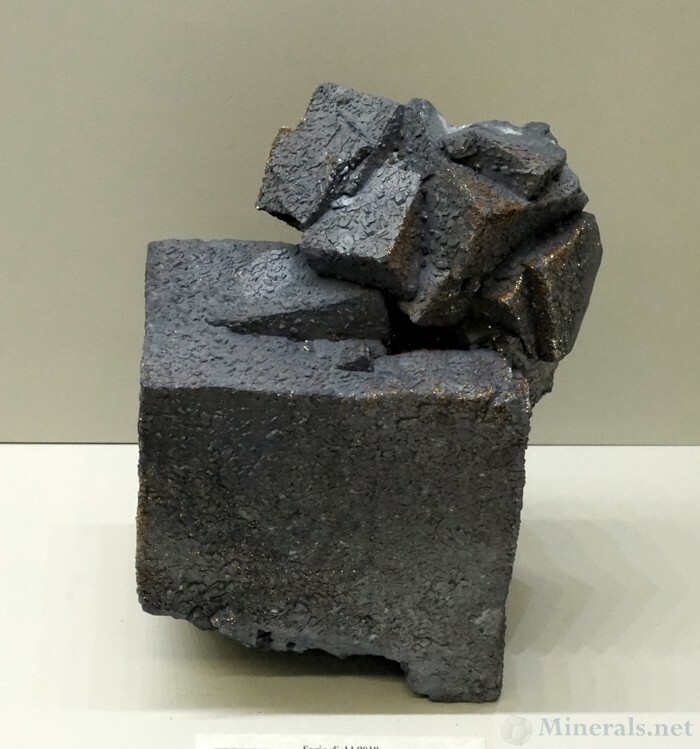 This is our second post of the The East Coast Gem, Mineral & Fossil Show (AKA the Springfield Show), and it features some of the exhibit displays of Dave and Karen DeBruin's fabulous mineral collection. 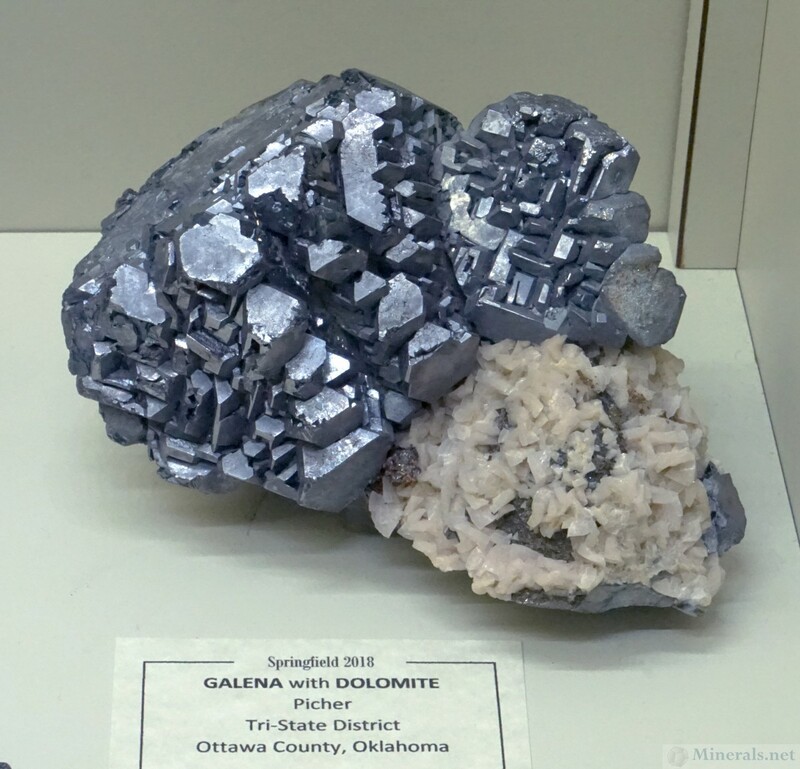 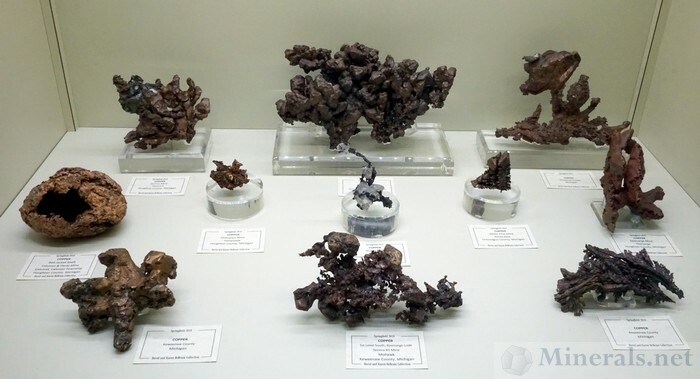 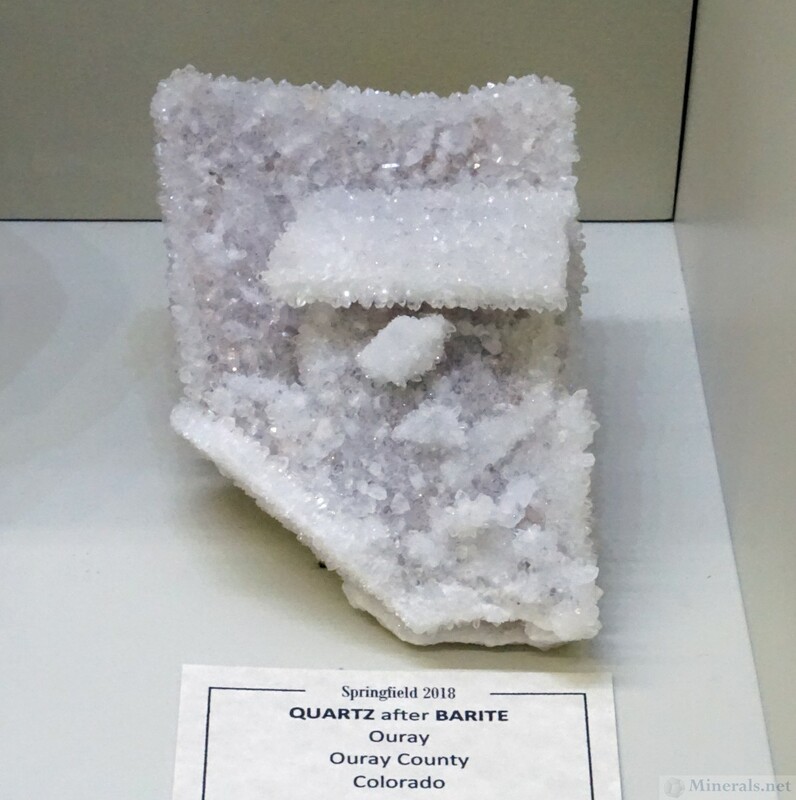 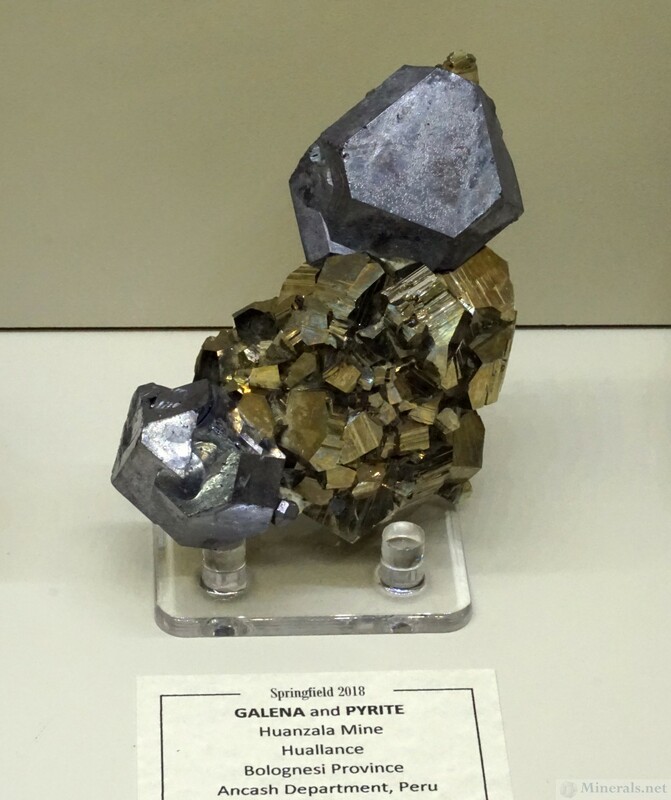 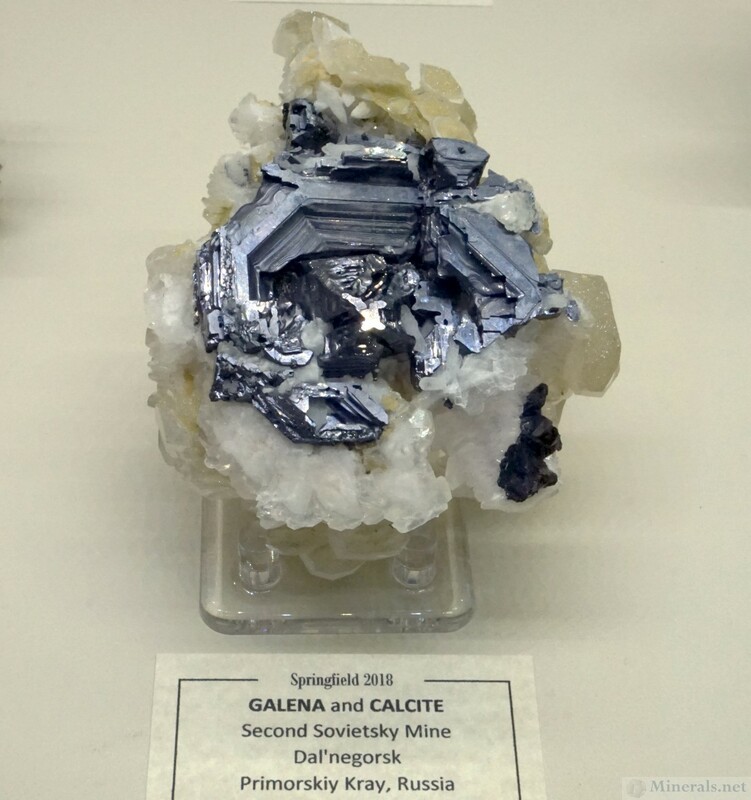 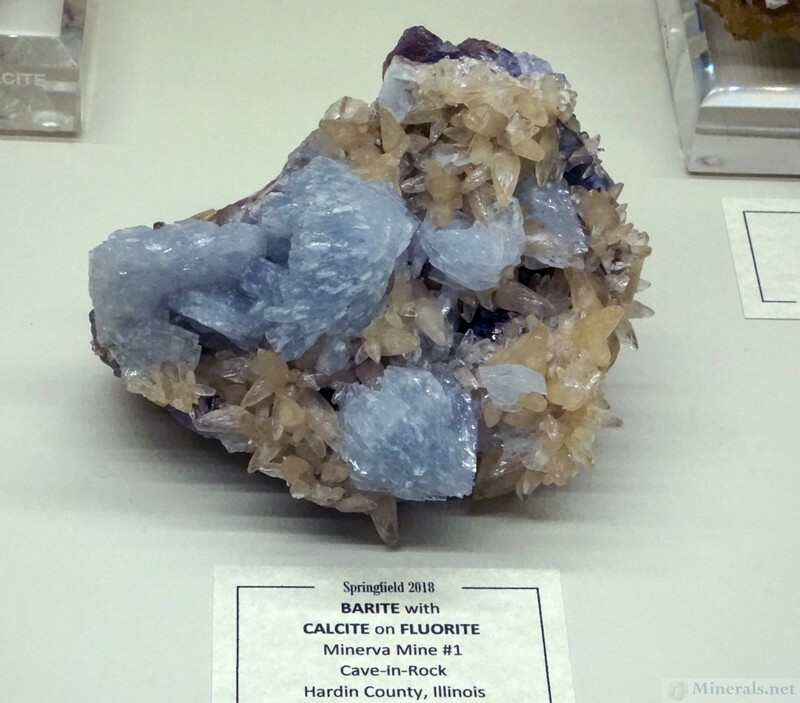 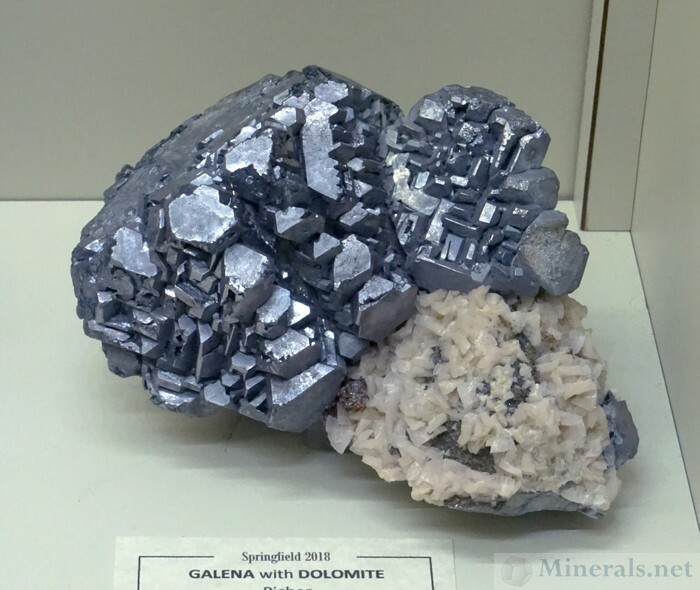 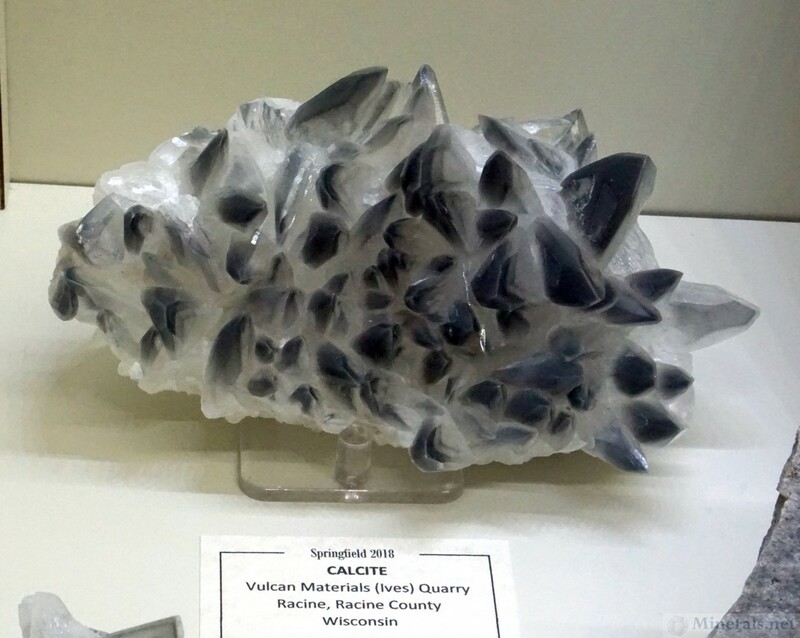 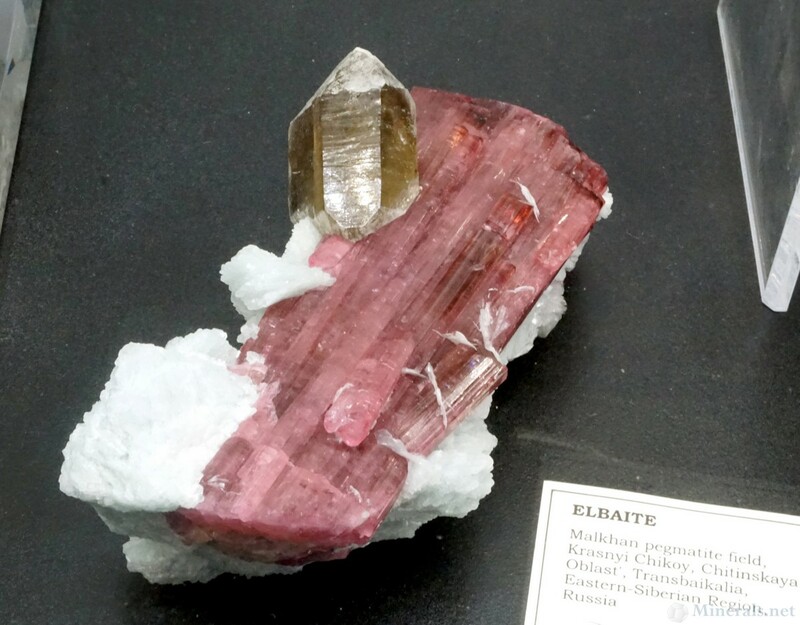 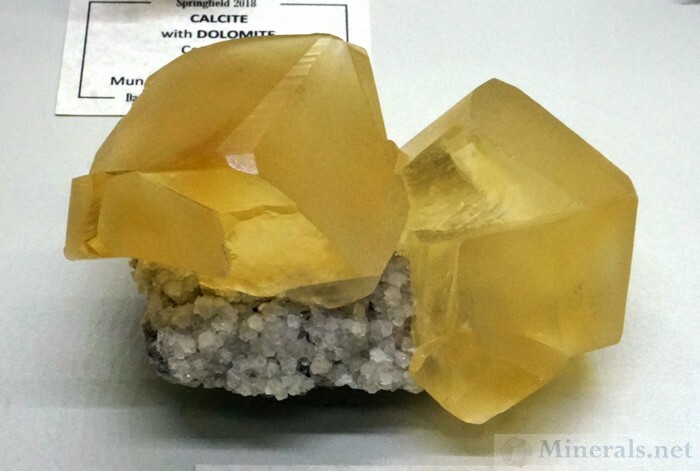 This post highlights some of their cases at the show, which include a display on Michigan Copper; Calcite minerals from Racine, Wisconsin; minerals from Santa Barbara, Honduras; Quartz oddities from worldwide localities; blue Celestine (mostly from the Midwest); minerals from Cave-in-Rock, Illinois; and several cases of Galena, Apophyllite, Calcite. 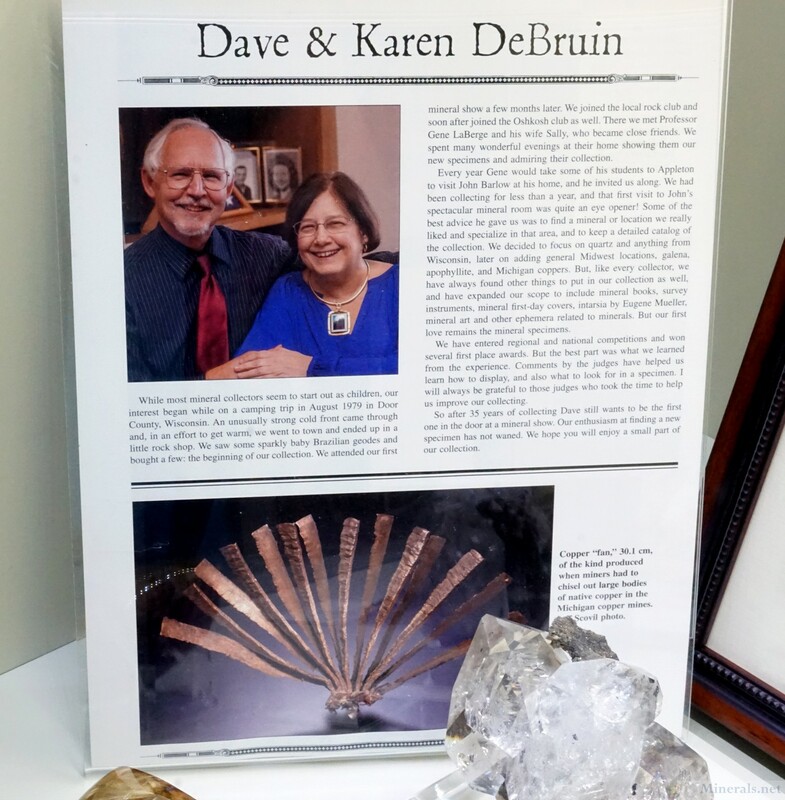 This fourth post of the 2018 The East Coast Gem, Mineral & Fossil Show in Springfield, Massachusetts, features some of the outstanding individual minerals seen on public display in the exhibit displays of Dave and Karen DeBruin, the featured collectors of this years' show collection. 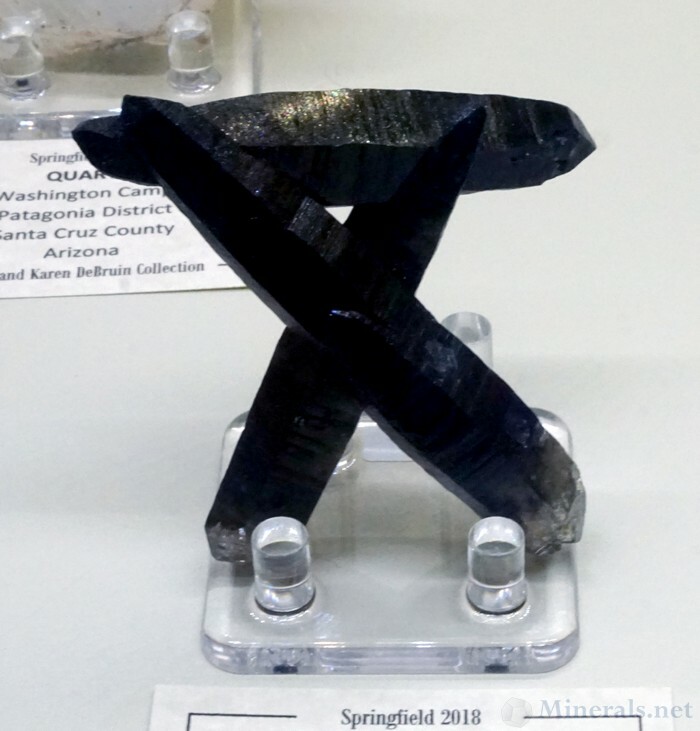 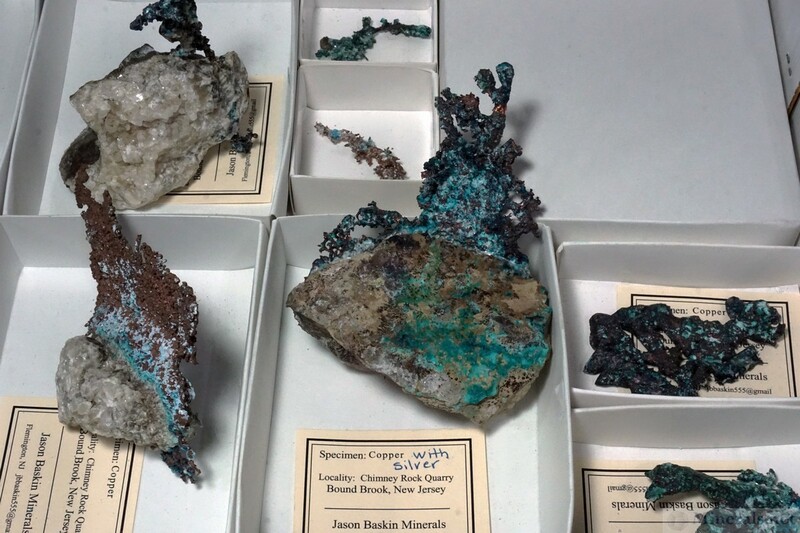 Our next post, the fifth post of the 2018 The East Coast Gem, Mineral & Fossil Show in Springfield, Massachusetts, continues featuring a selection of individual minerals from the exhibit cases of Dave and Karen DeBruin, the featured collectors of this years' show. 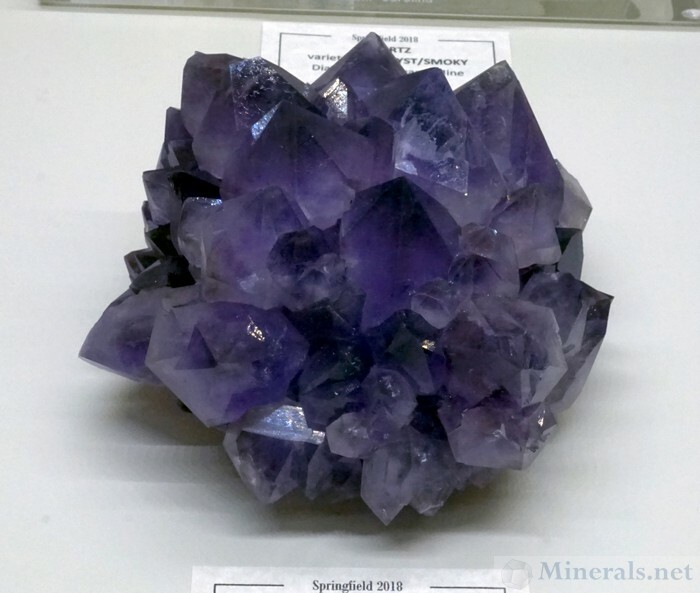 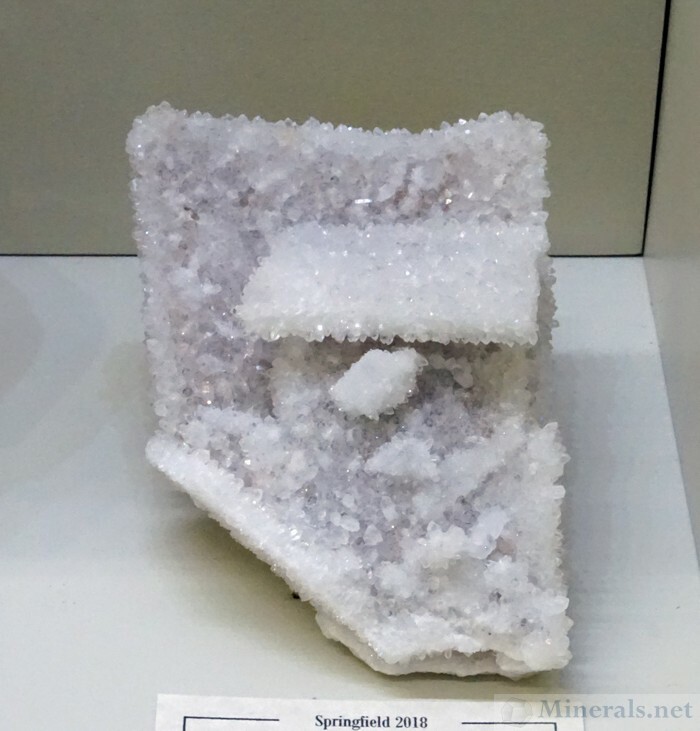 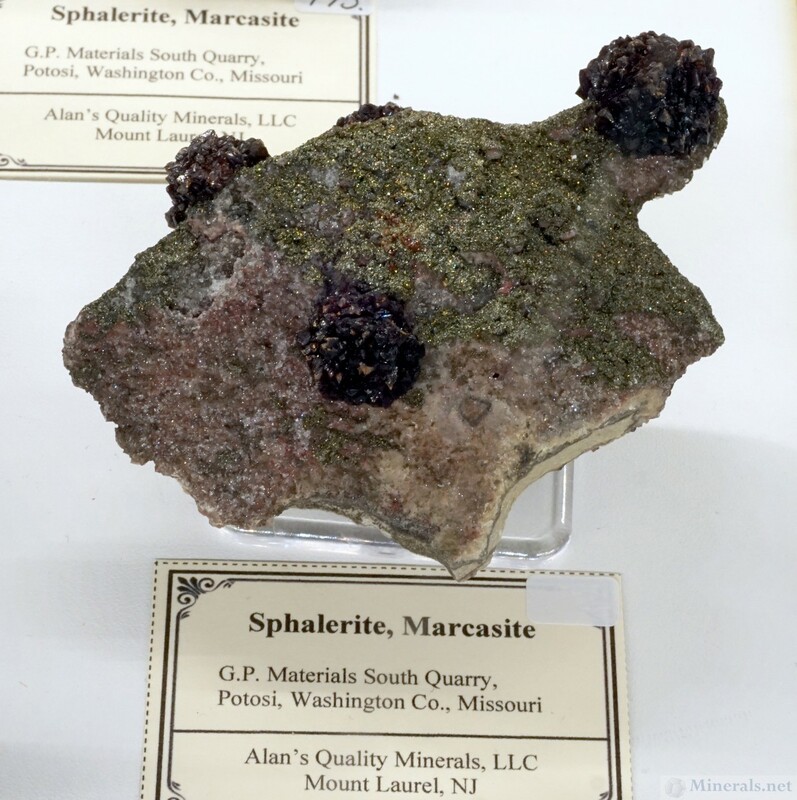 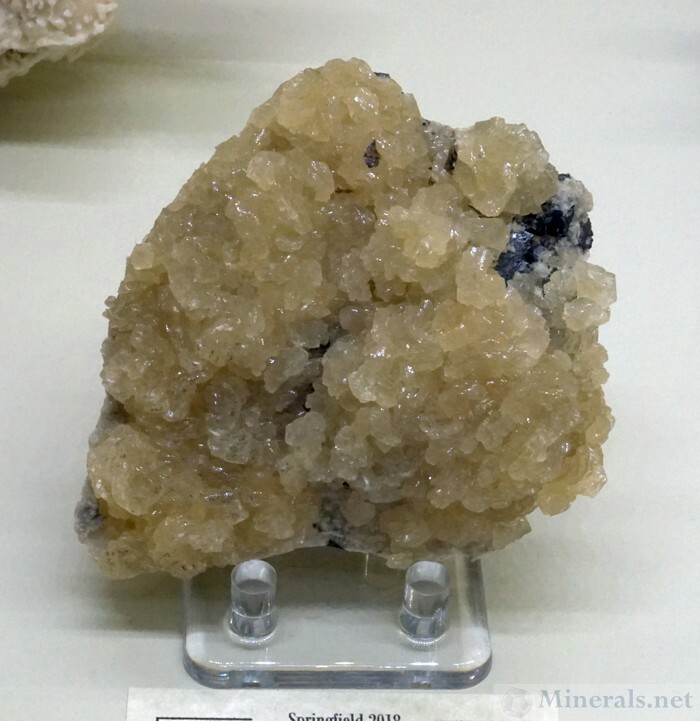 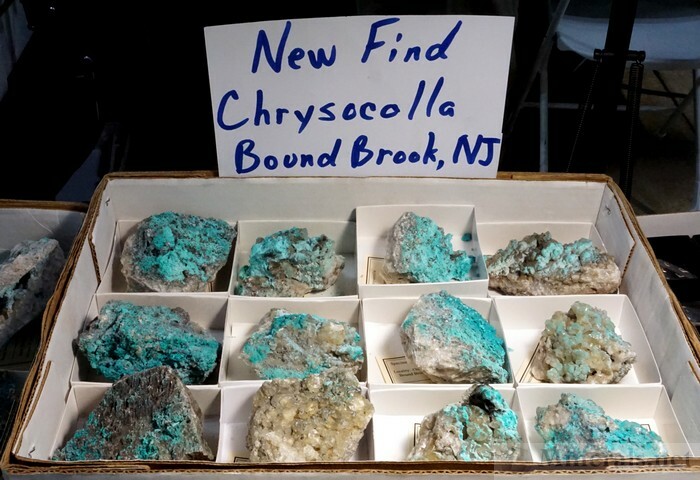 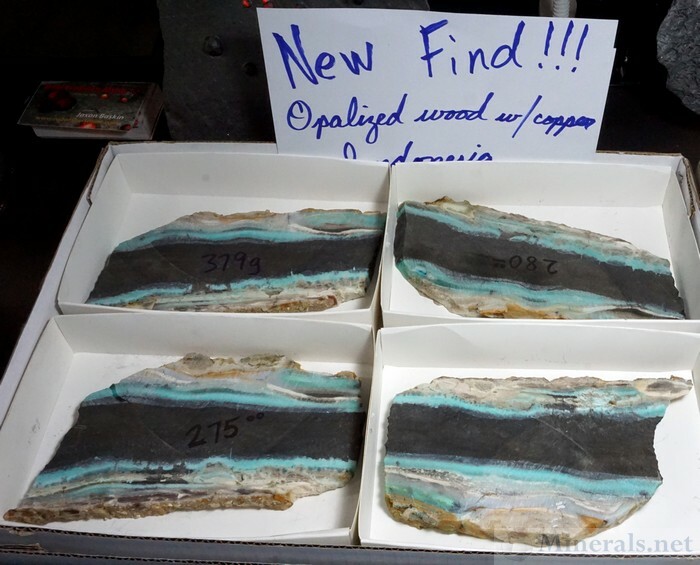 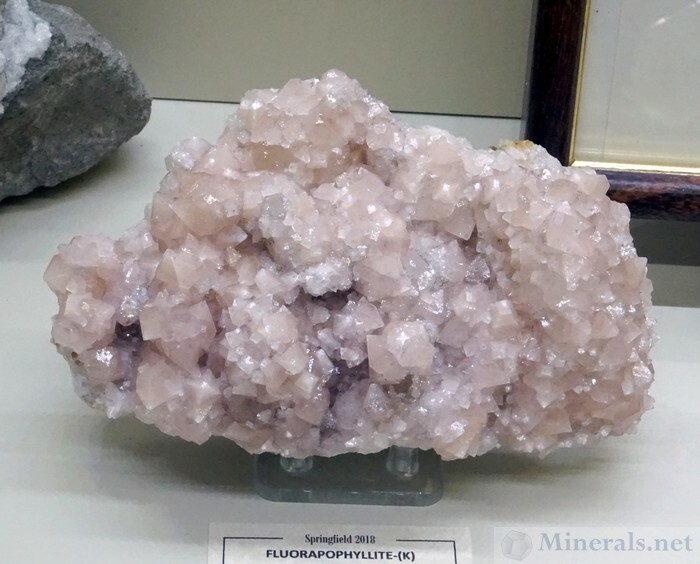 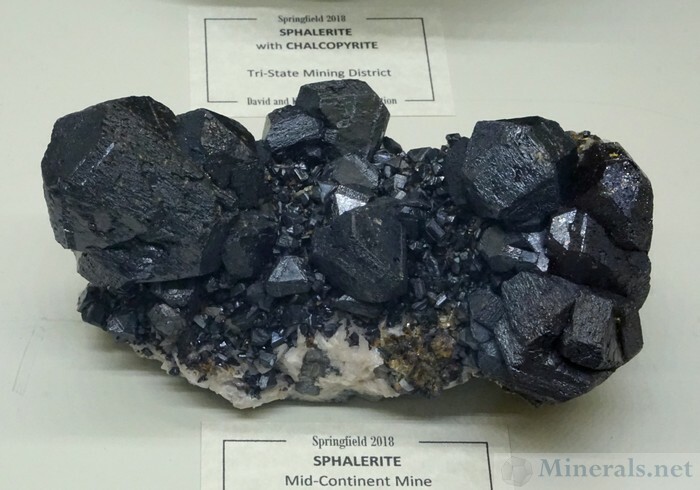 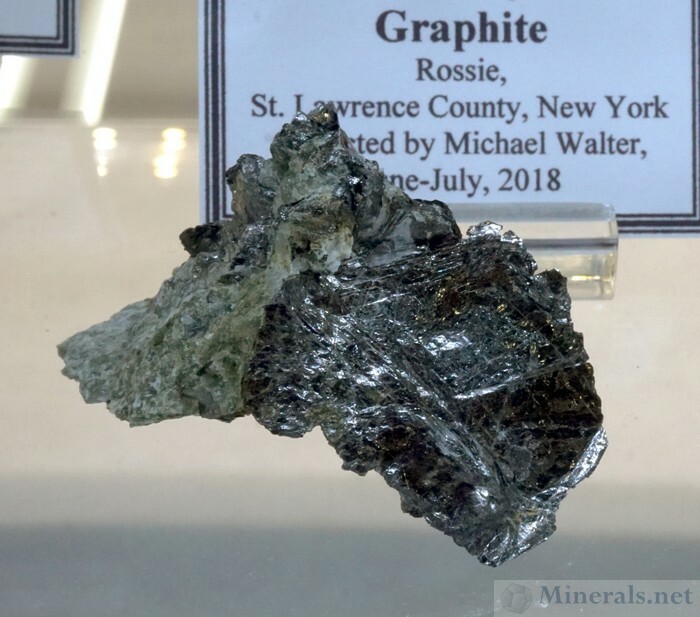 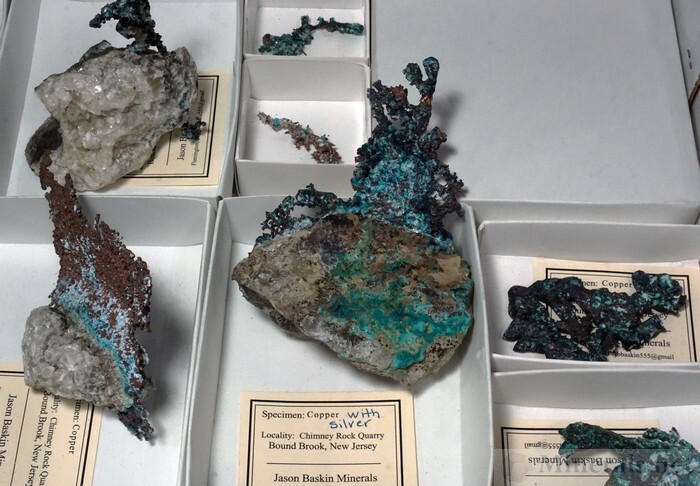 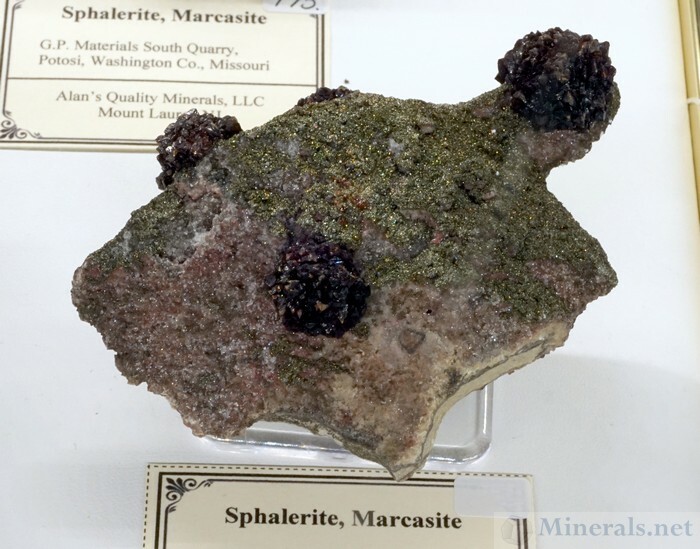 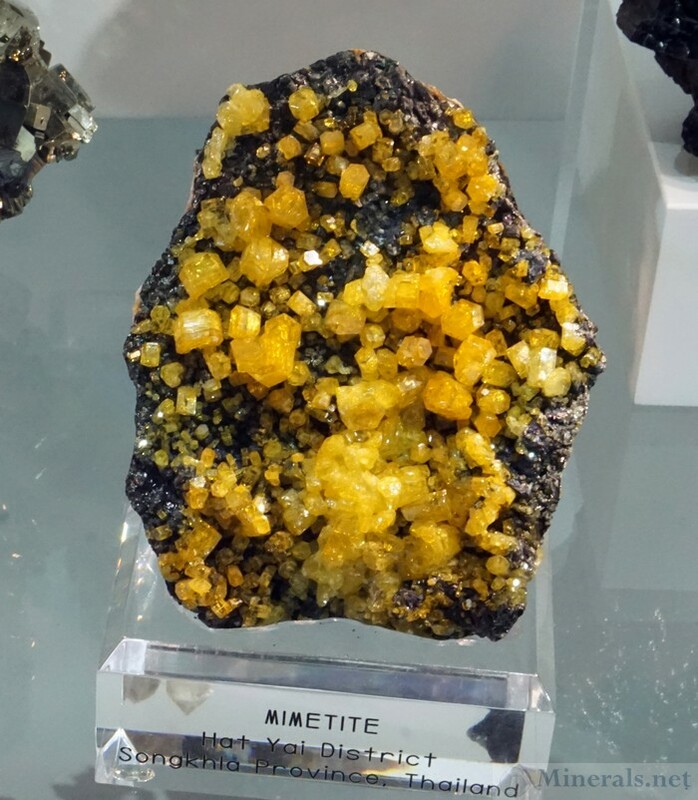 This final post on the 2018 The East Coast Gem, Mineral & Fossil Show in Springfield features some of the individual dealer minerals that I encountered at the show. These include new finds, unusual specimens, and minerals that I found unique. 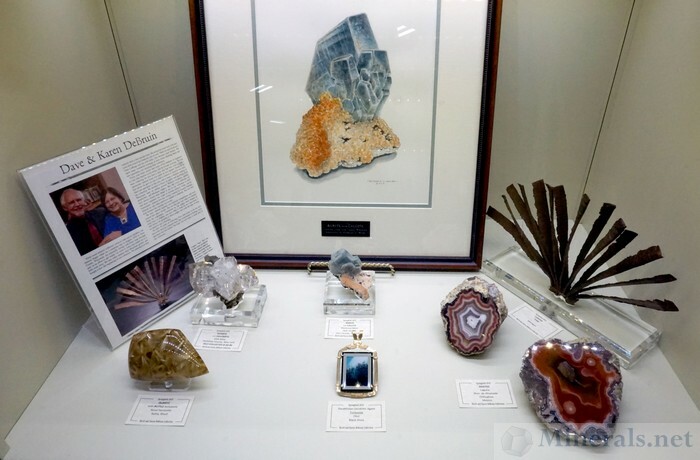 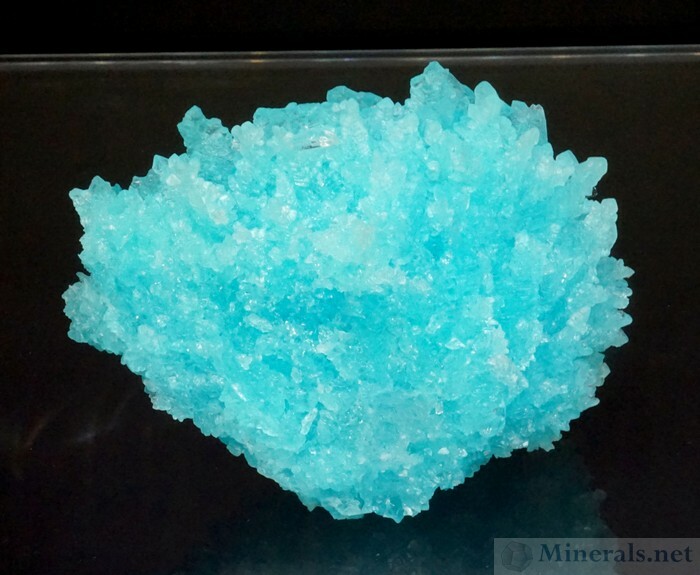 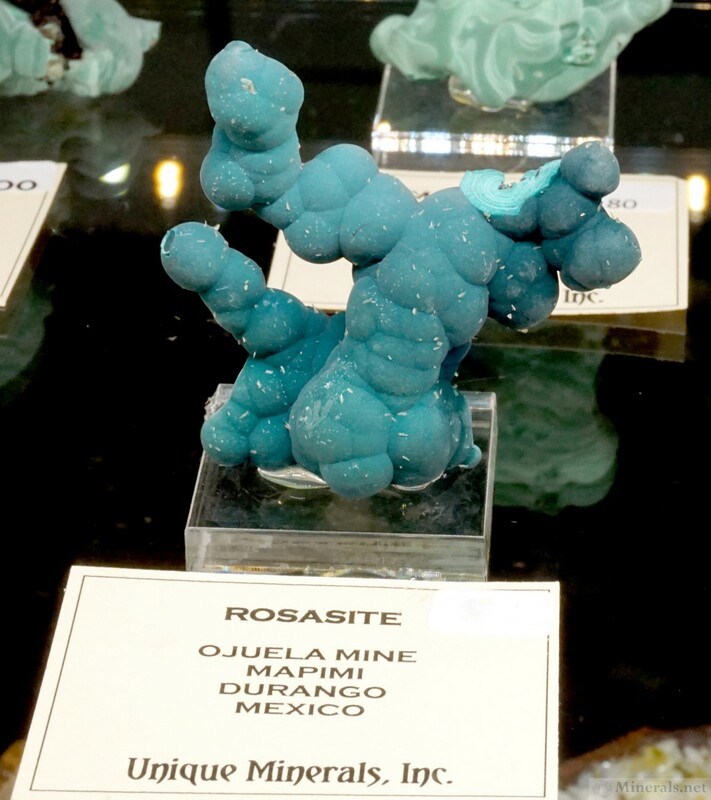 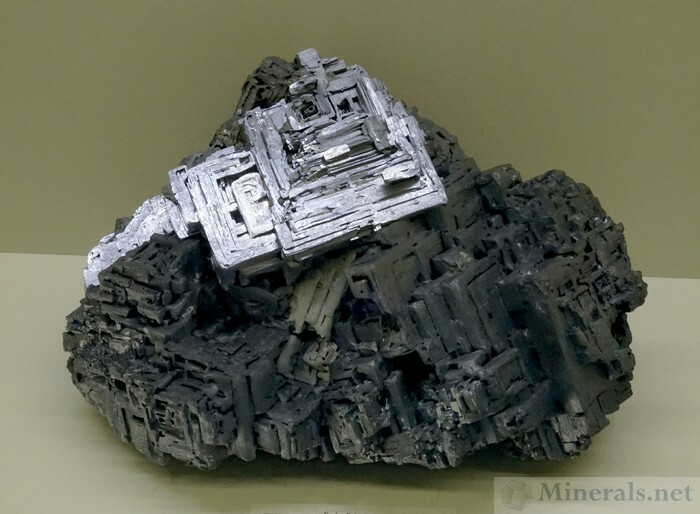 This show has an excellent representation of quality dealers, and always has new and interesting minerals to be seen.